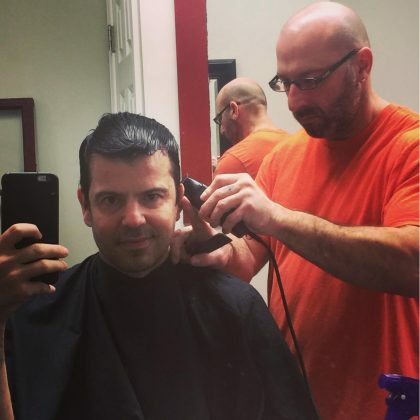 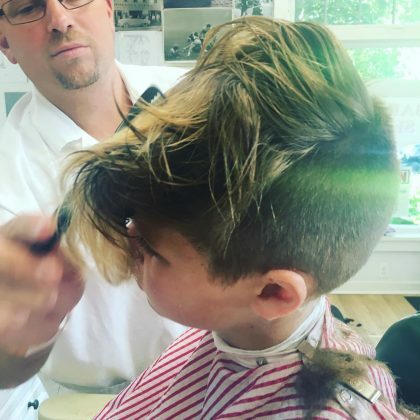 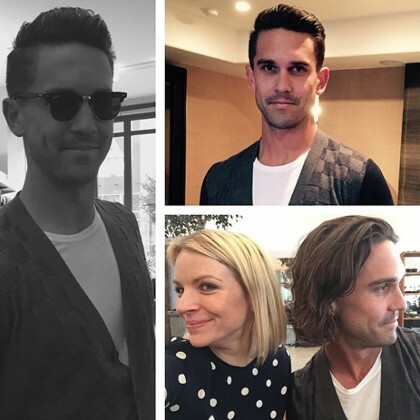 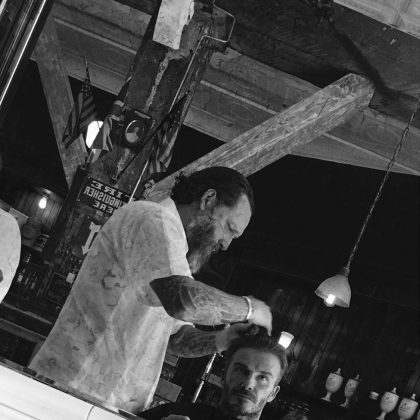 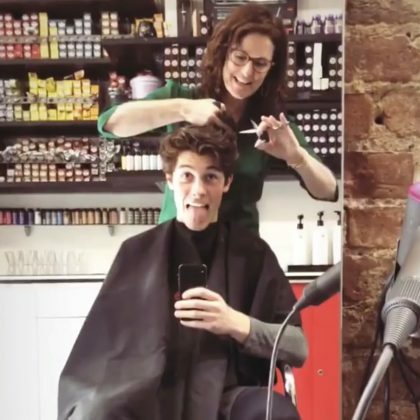 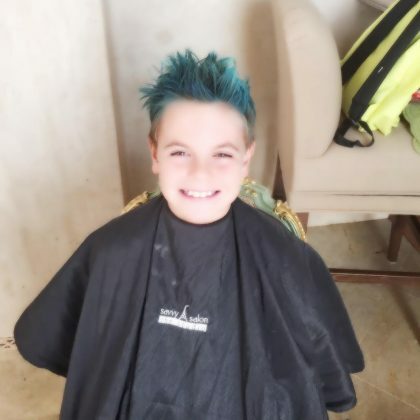 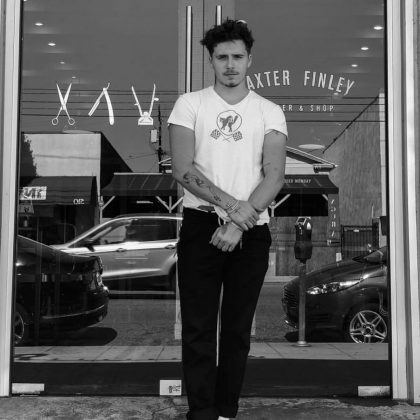 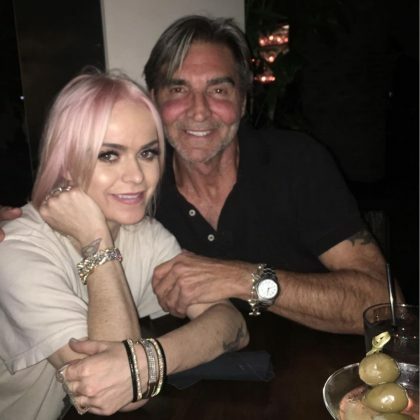 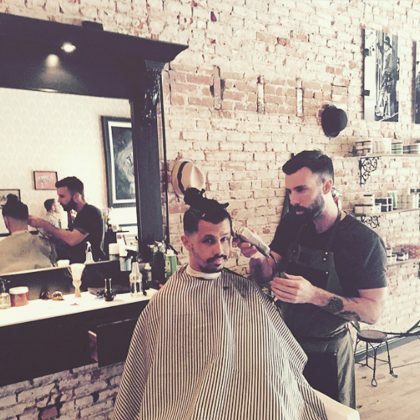 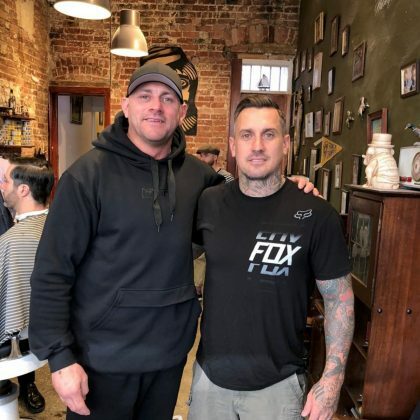 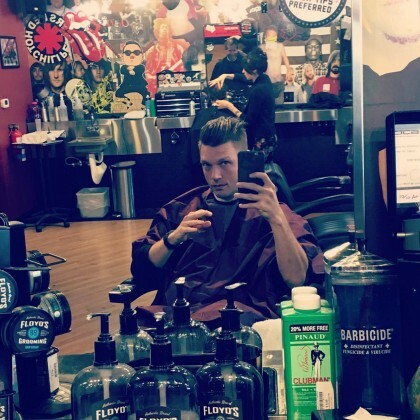 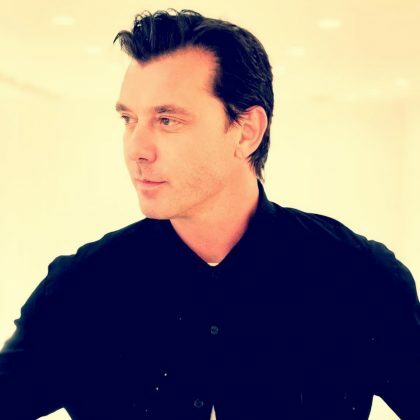 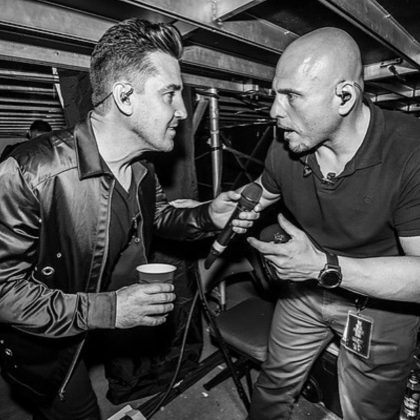 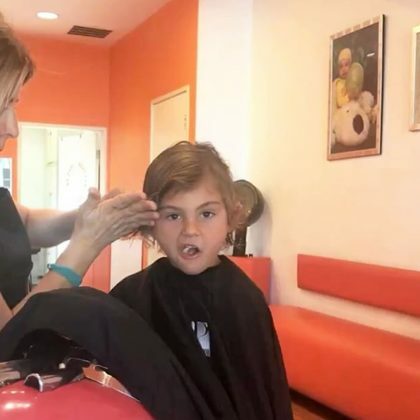 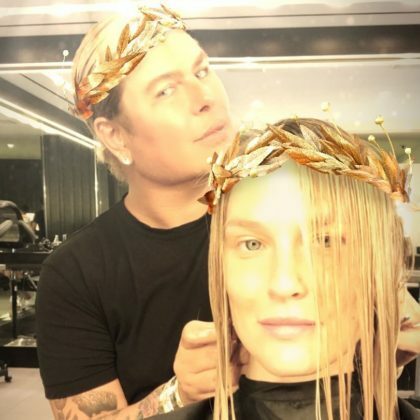 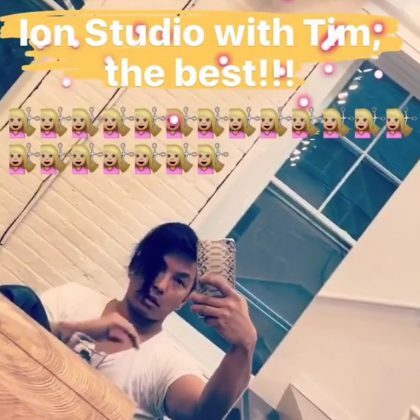 In January 2018, Gavin Rossdale felt “Ready to fight the world, thx to my boy the king of hair” Jonathan Antin of Jonathan Antin Salon. 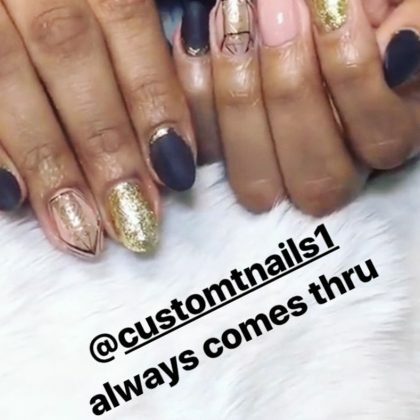 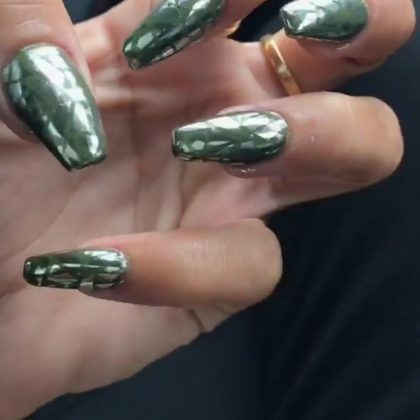 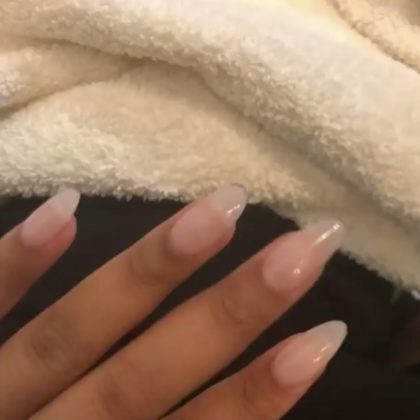 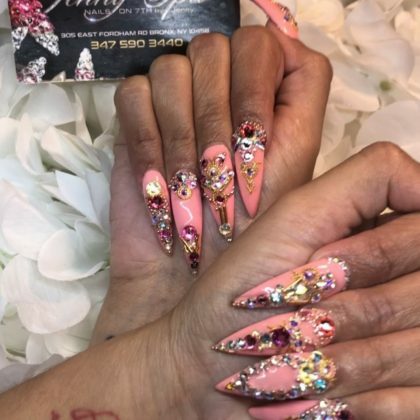 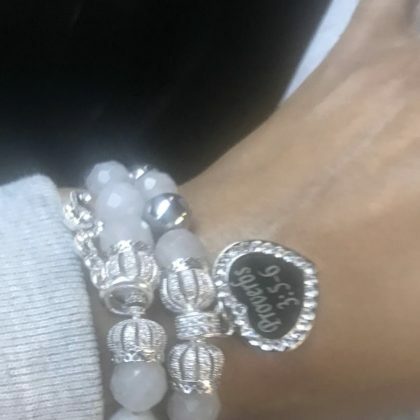 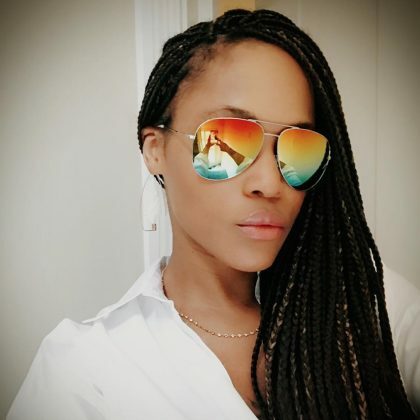 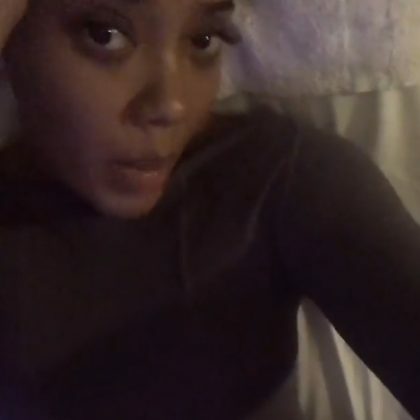 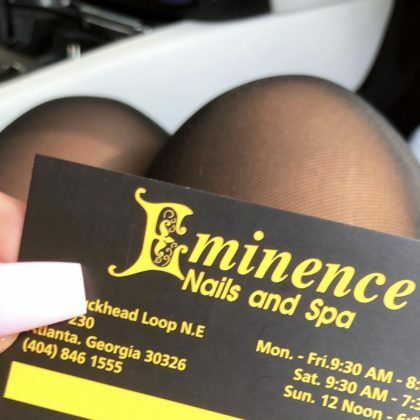 Serayah gave a shoutout to Mia Bella Salon for her “Bomb” manicure in December 2017. 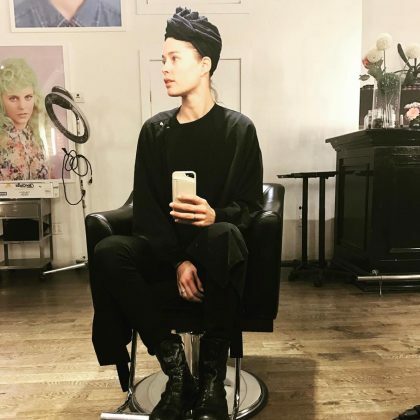 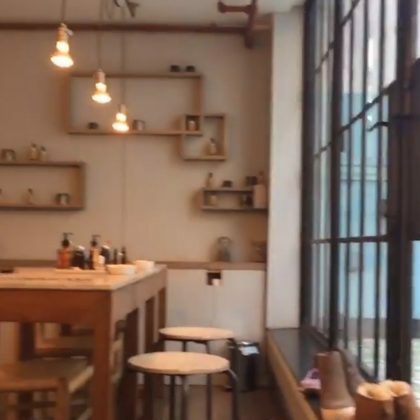 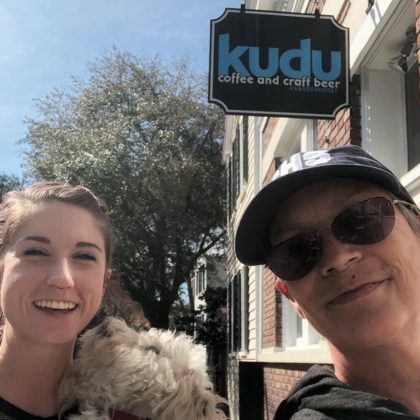 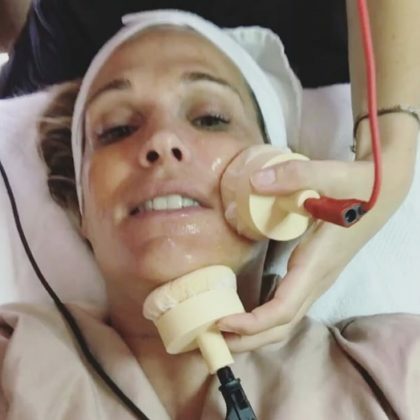 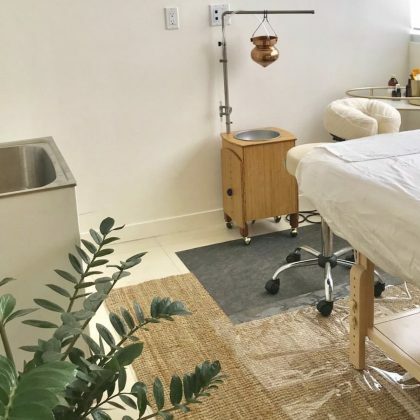 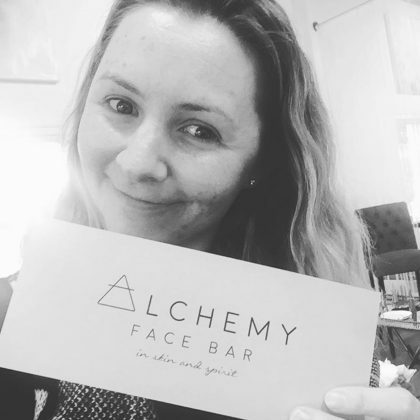 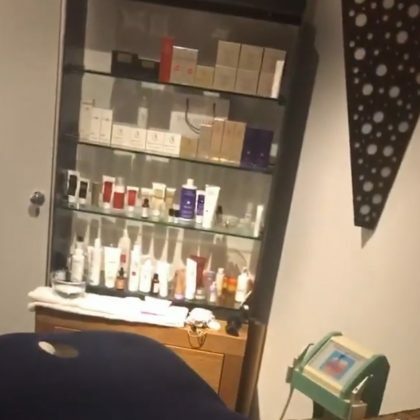 Naomi Watts enjoyed an “Amazing Onda facial” at ONDA BEAUTY, Downtown in December 2017. 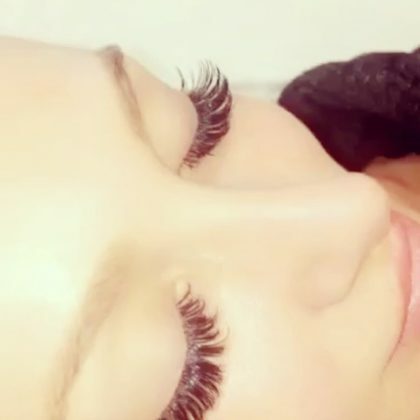 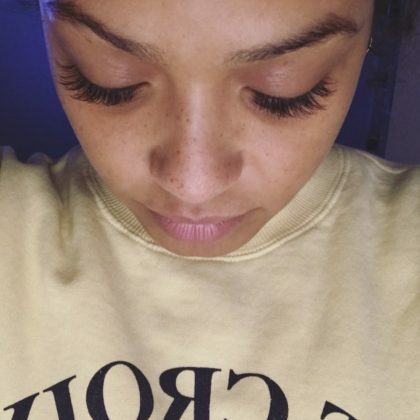 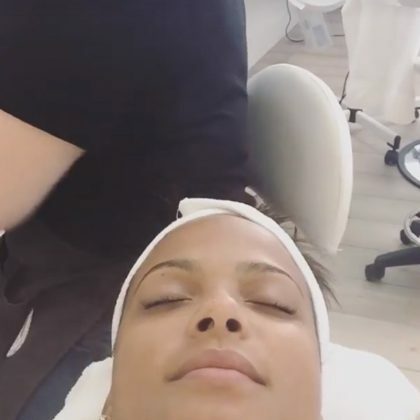 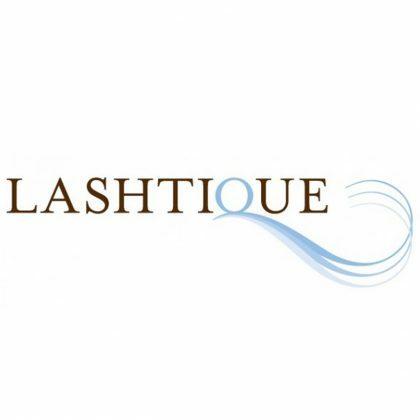 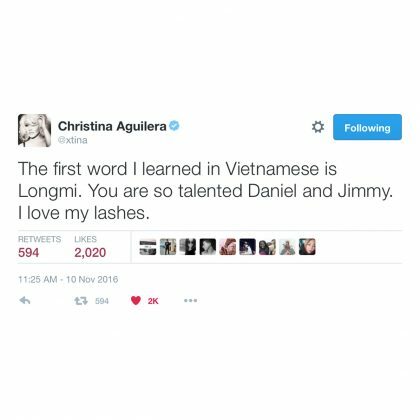 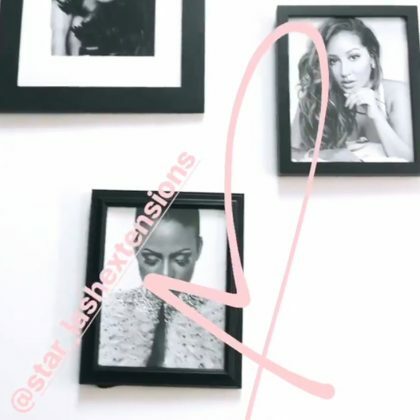 Christina Milian was loving her “#LashExtensions” by My Shanti Bar’s Natasha Kashanian in November 2017. 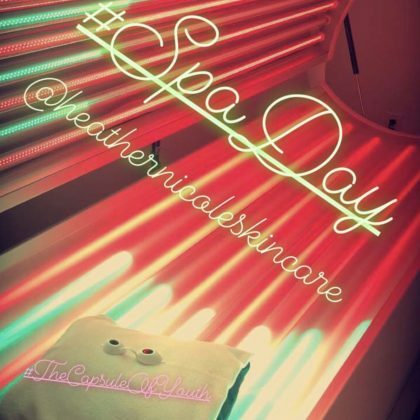 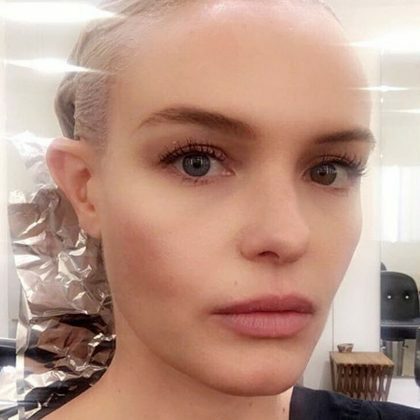 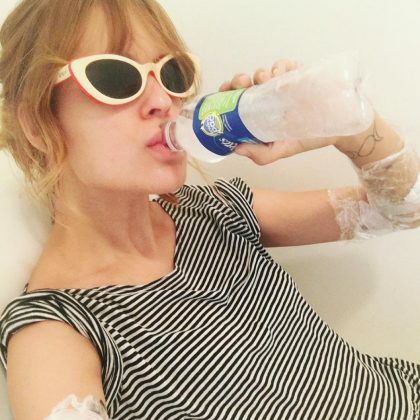 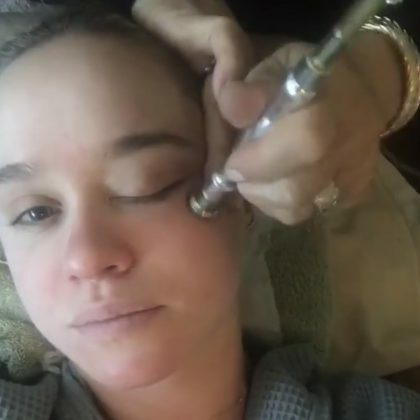 Kate Bosworth laid down for a facial at Touch of Faith Aesthetics in November 2017. 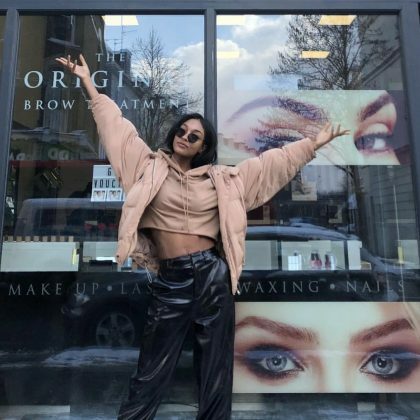 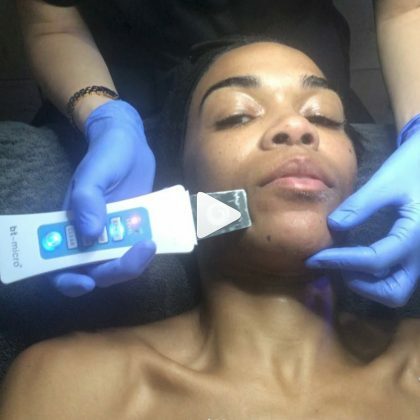 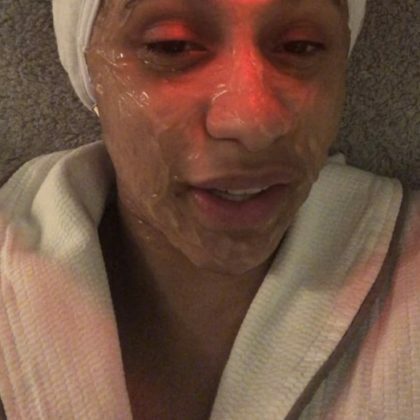 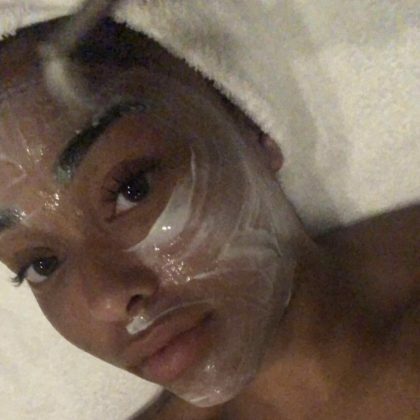 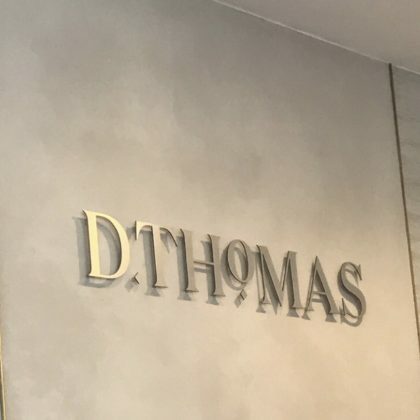 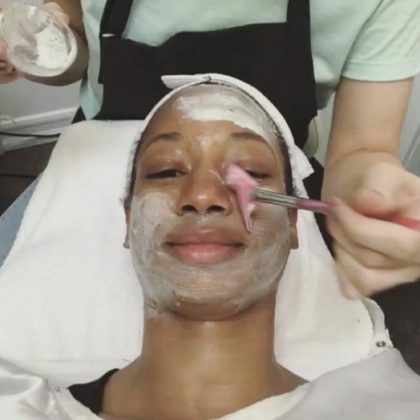 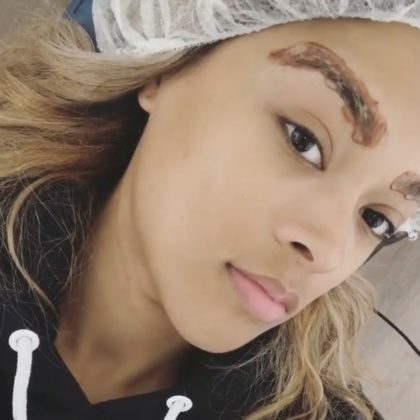 It was “Facial time” for Jourdan Dunn at D.Thomas Clinic in November 2017. 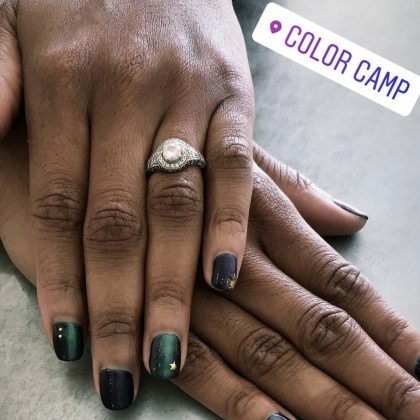 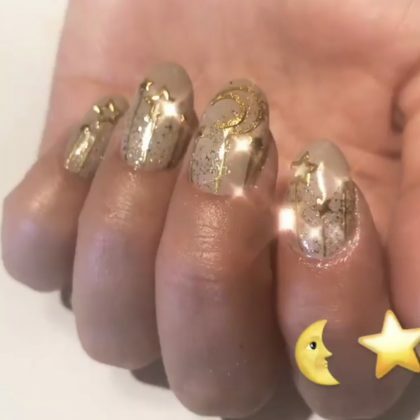 “Obsessed with this intergalactic nail art” is what Monique Coleman said of her out-of-this-world manicure courtesy of Color Camp in November 2017. 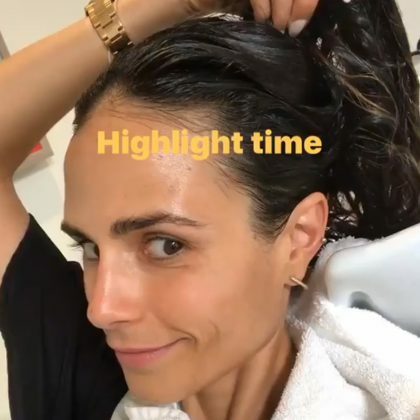 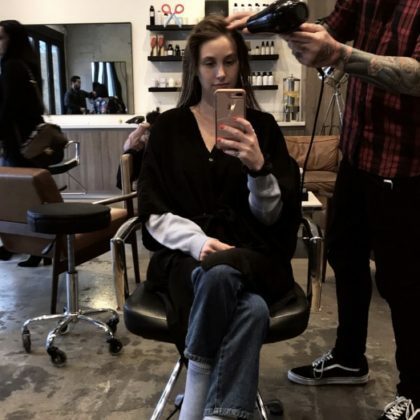 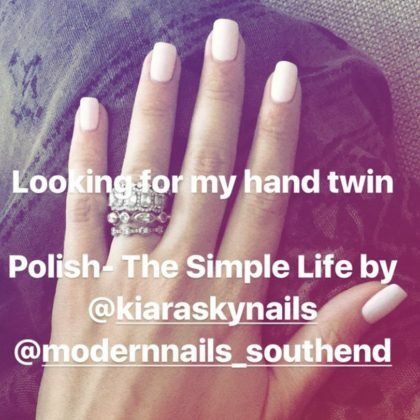 Jessica Lowndes was loving her gray manicure from The Kelowna Nail & Brow Guru in November 2017. 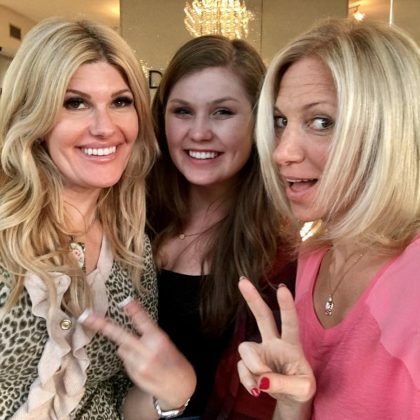 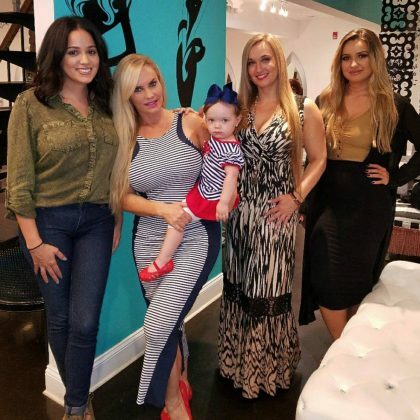 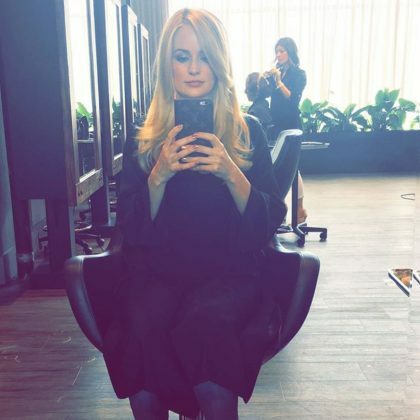 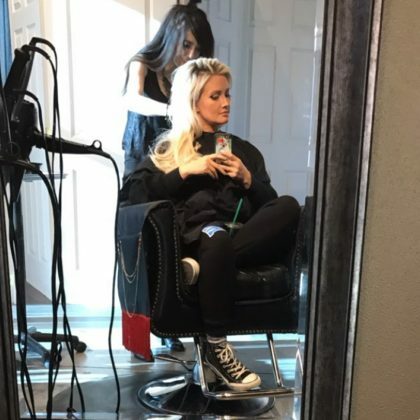 “Always great seeing my @bronzed_flamingo baes” is what Holly Madison said when she stopped by the salon in November 2017. 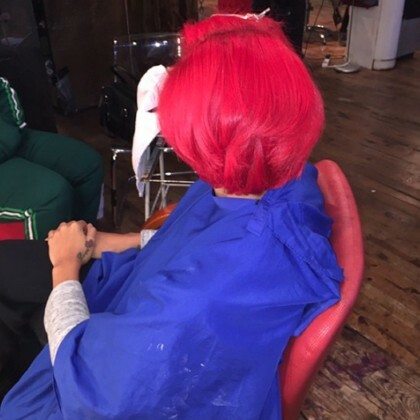 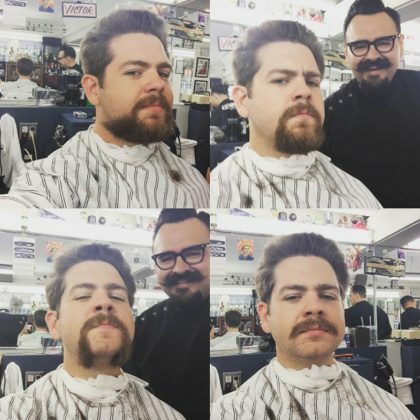 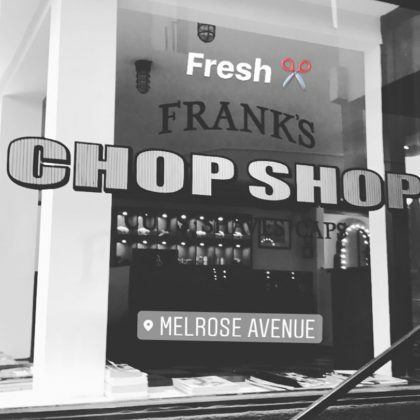 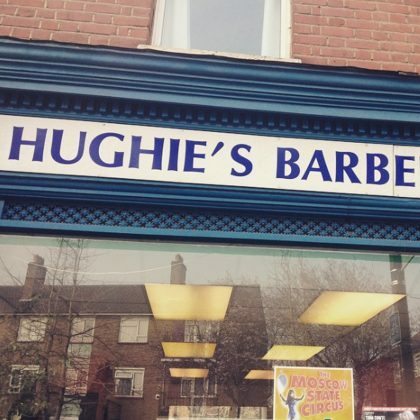 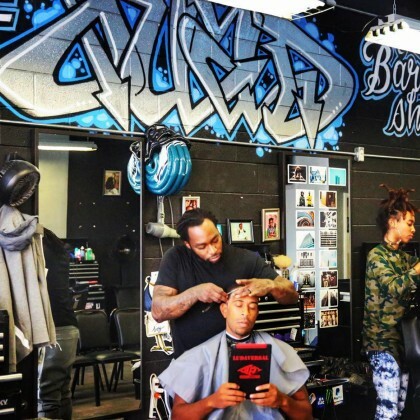 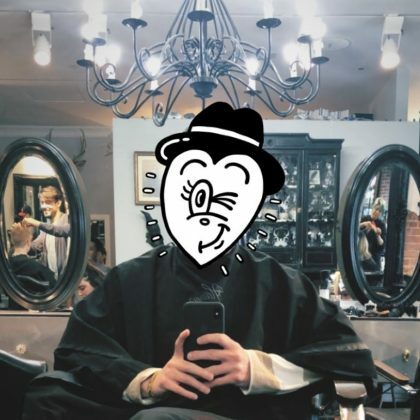 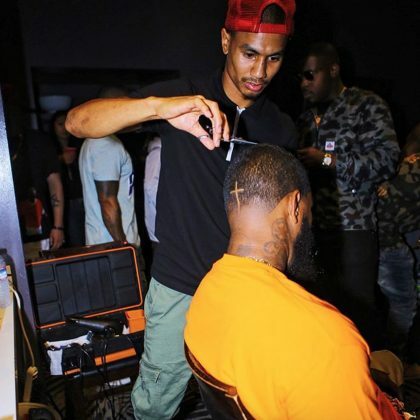 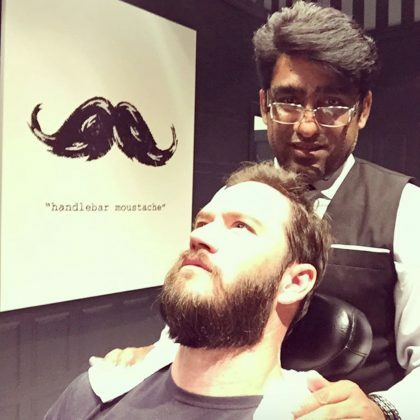 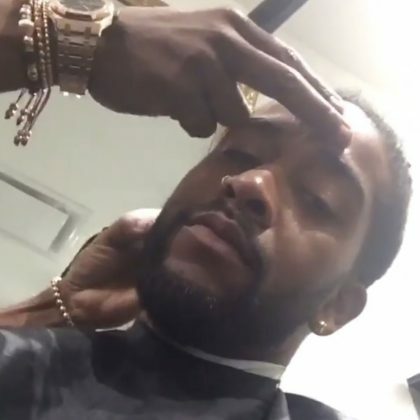 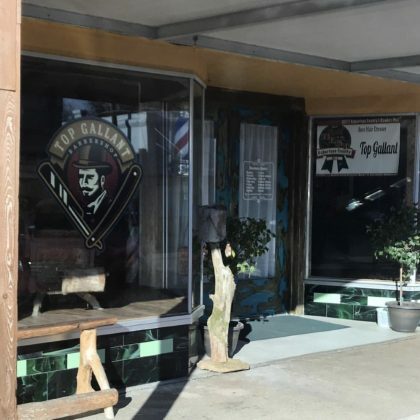 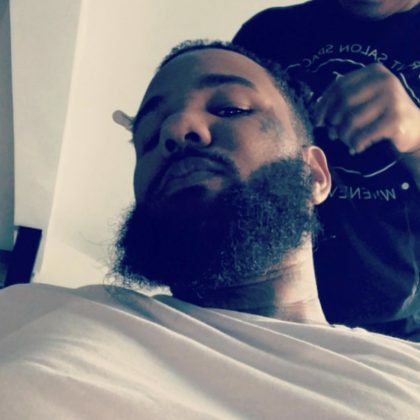 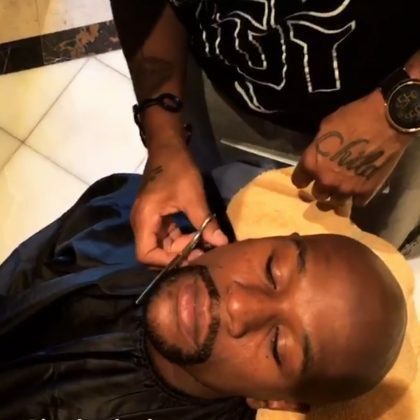 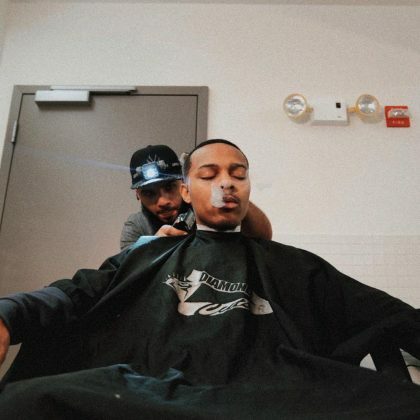 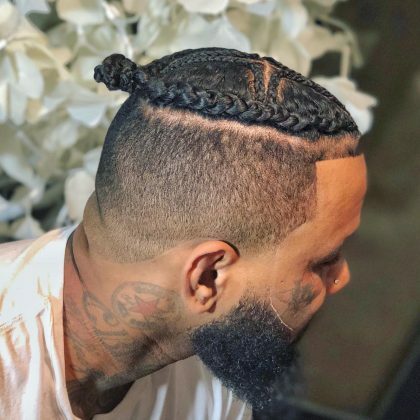 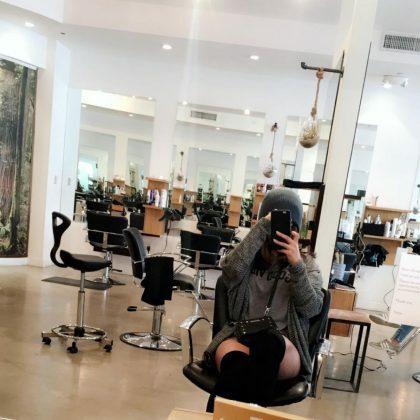 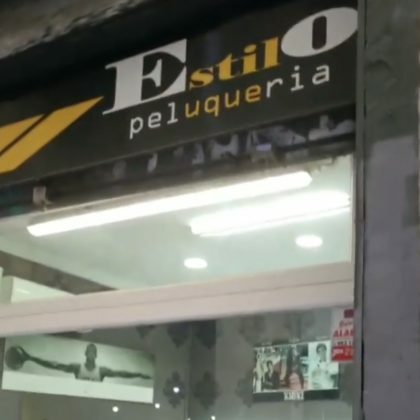 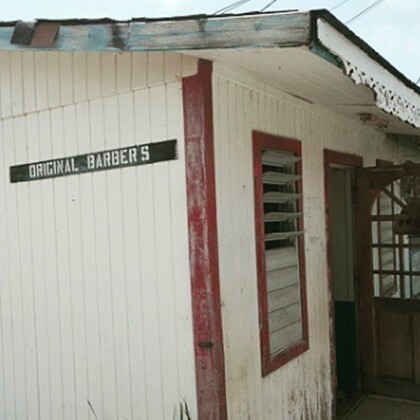 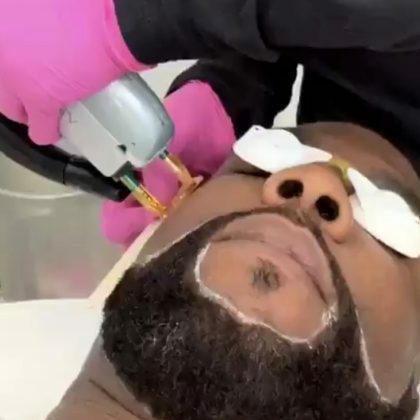 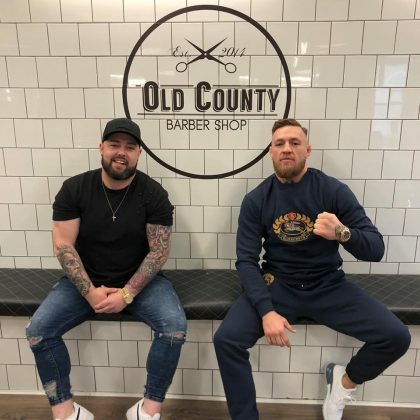 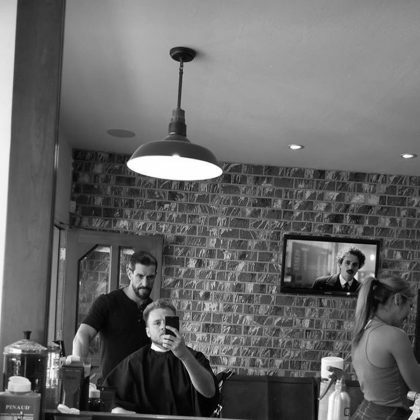 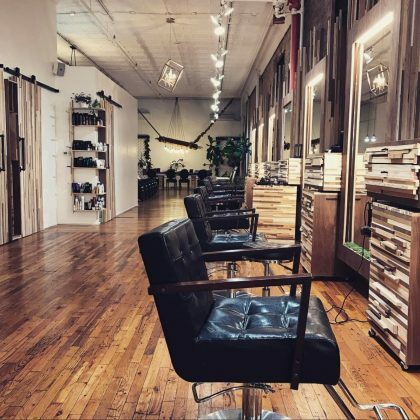 Omarion had his hair cut at Salon Republic in October 2017. 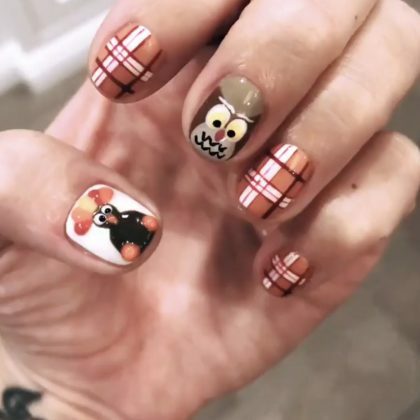 Ariana Grande showed off her “retro” manicure by Nail Swag’s Natalie minerva in September 2017. 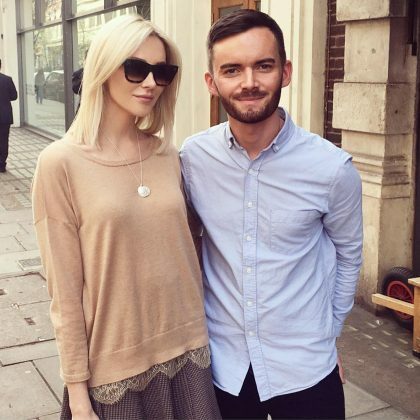 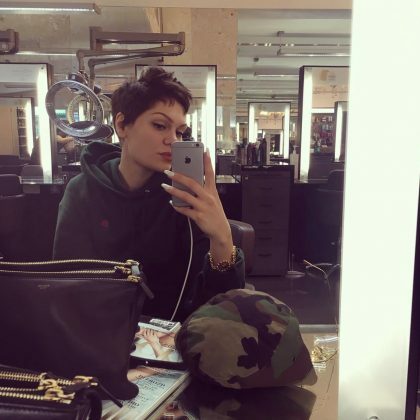 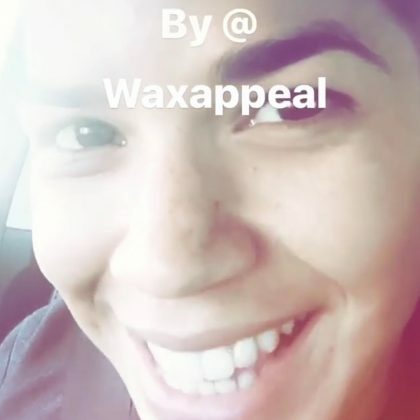 Jessie J showed off her brows after getting them done at iBrow Bar by EB in September 2017. 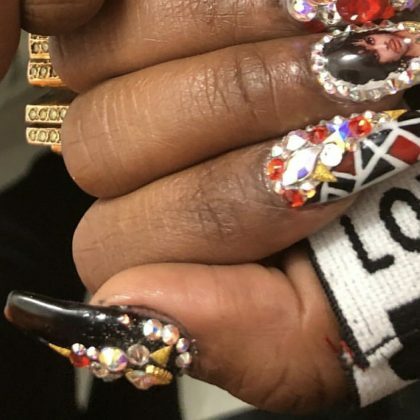 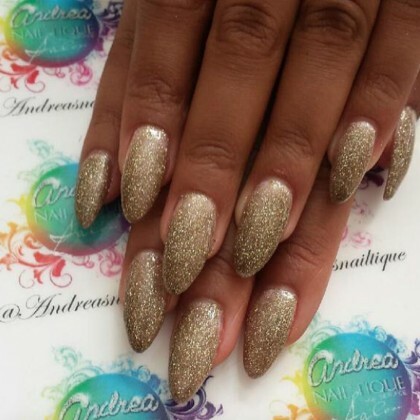 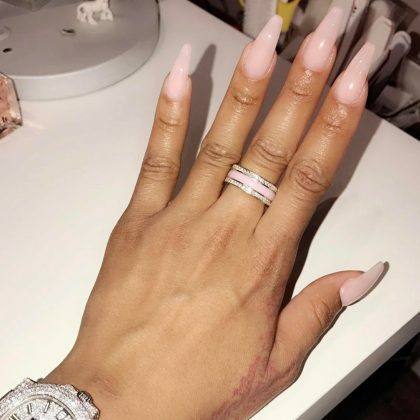 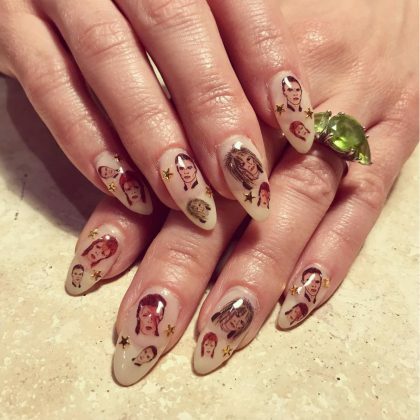 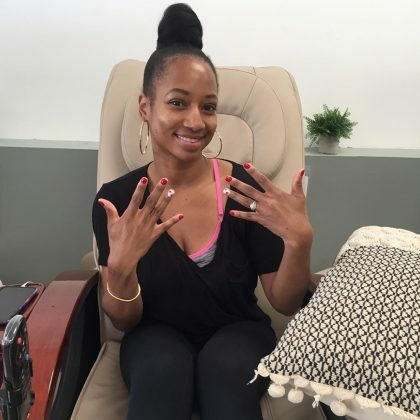 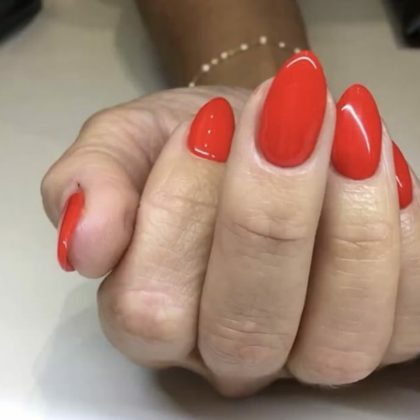 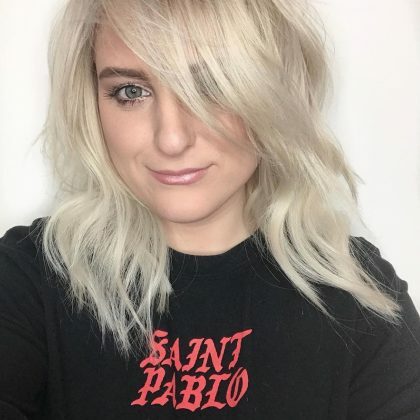 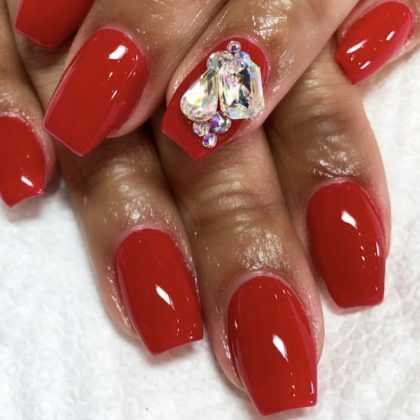 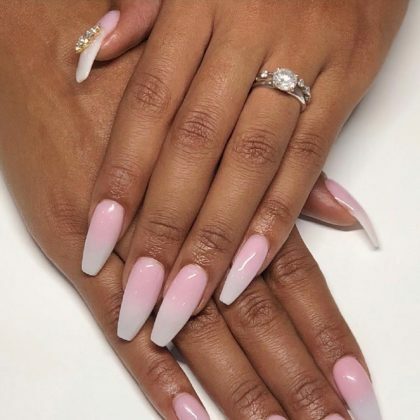 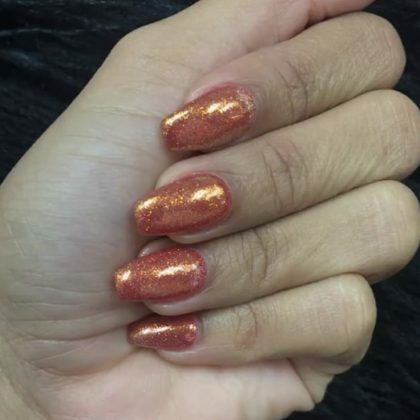 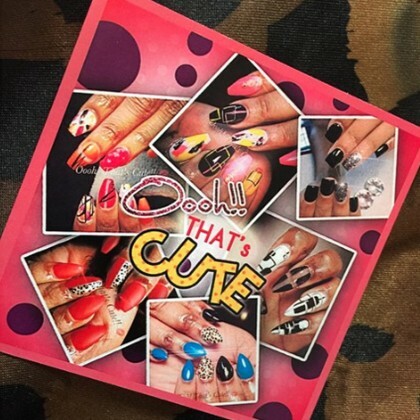 High School Musical star Monique Coleman thanked Shine My Nail for her “#wildcat inspired nails” to mark the 10th anniversary of “#hsm2” in August 2017 — the salon shared that it used “OPI Gel ‘Got the Mean Red’ with bear claw design” for the special nail art. 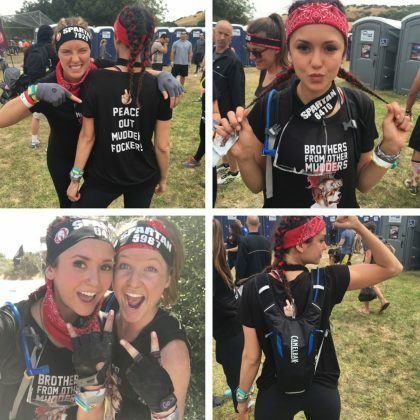 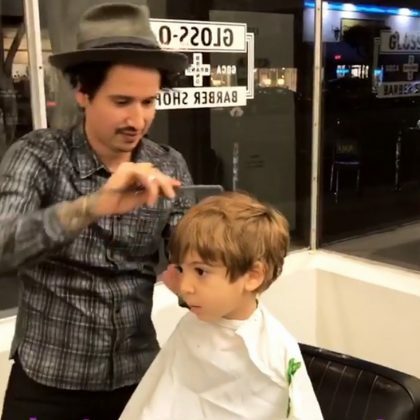 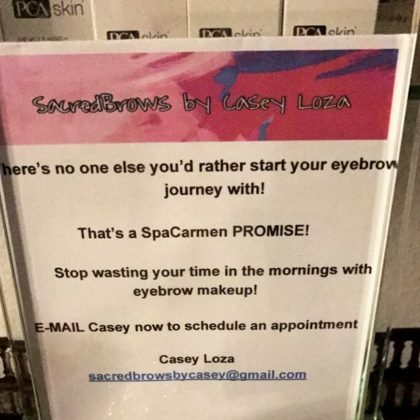 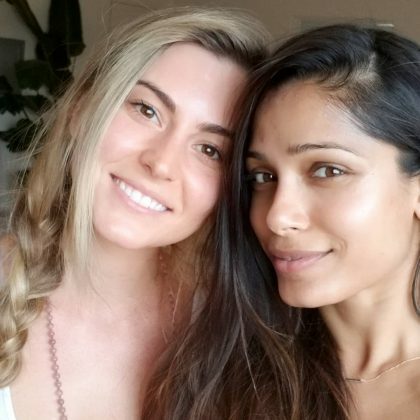 Audrina Patridge gave a shoutout to SacredBrows by Casey Loza at Spa Carmen in August 2017. 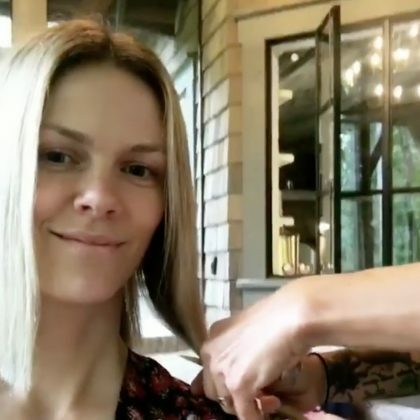 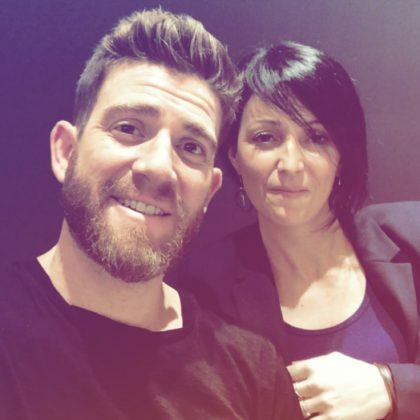 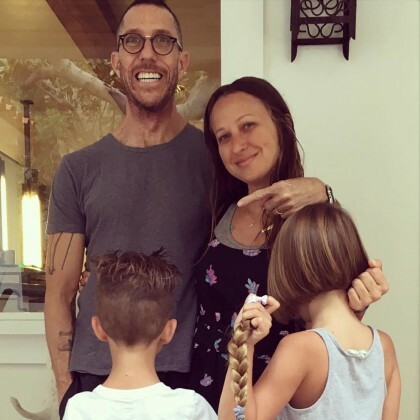 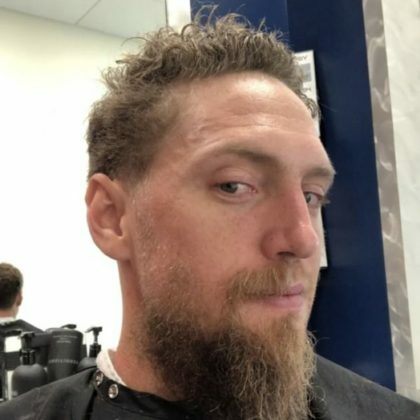 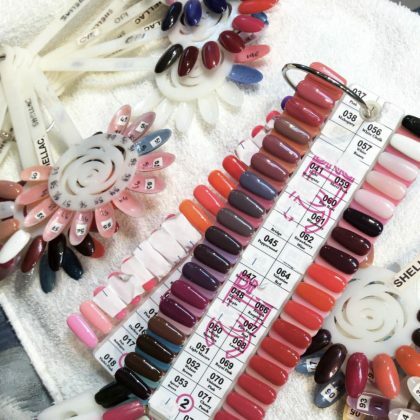 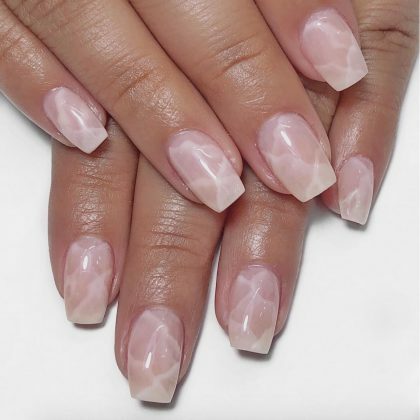 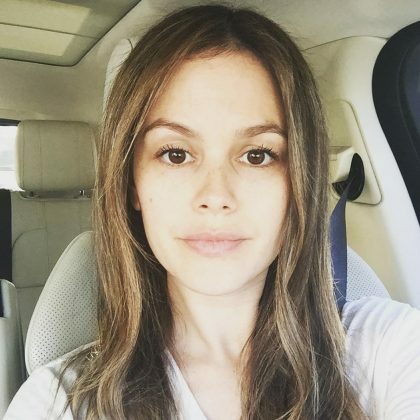 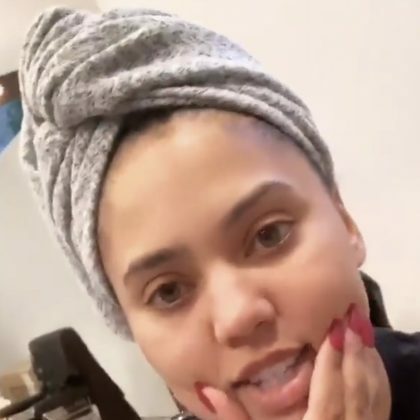 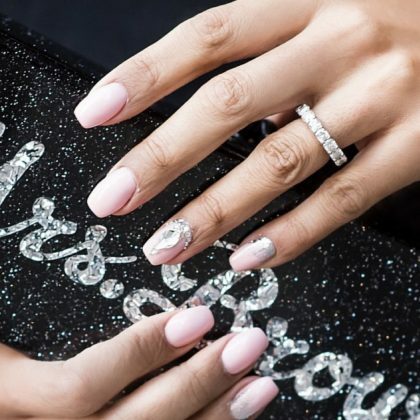 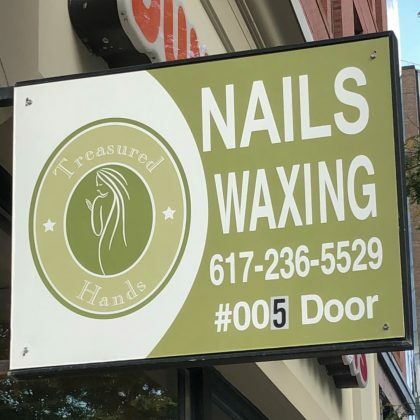 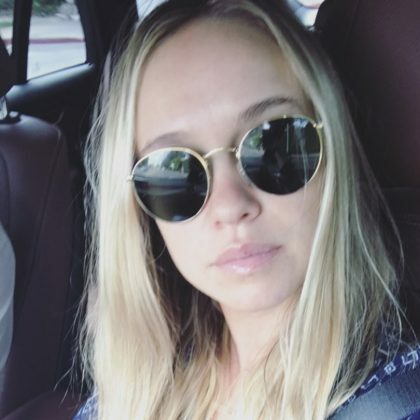 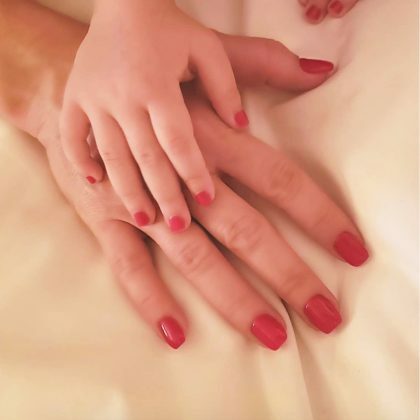 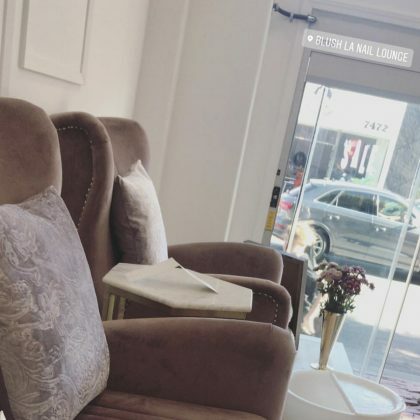 “Might be the last time I get my nails done while pregnant” is what Heidi Pratt said when she and Spencer Pratt had hand and foot treatments done at Rosie Nails, Pacific Palisades August 2017. 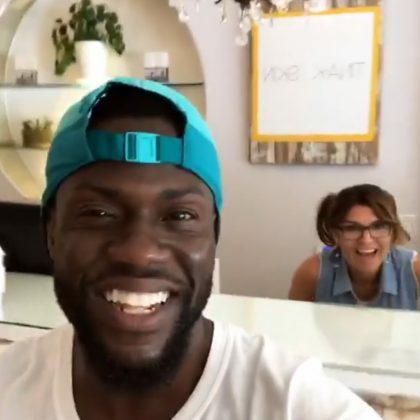 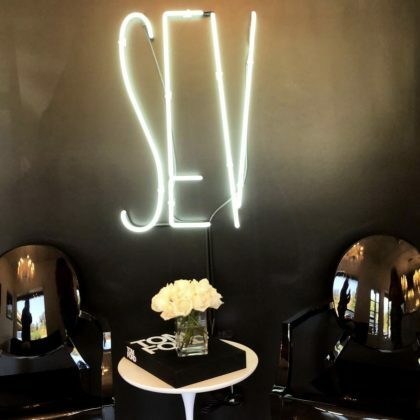 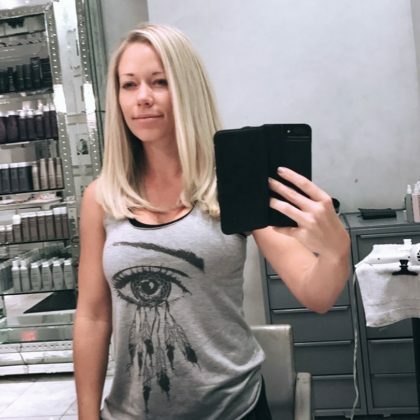 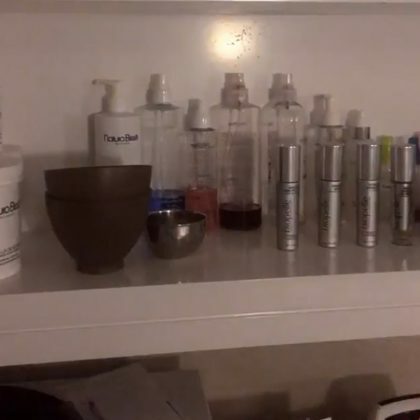 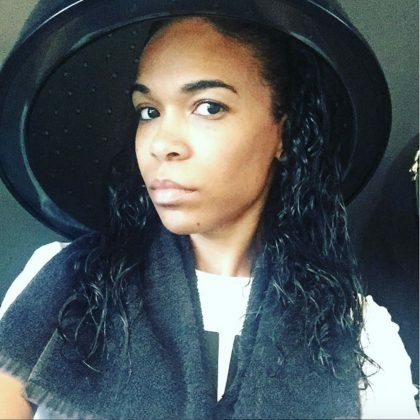 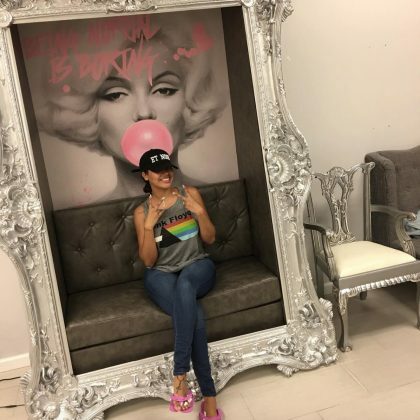 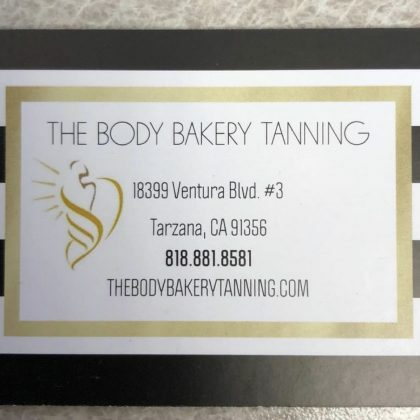 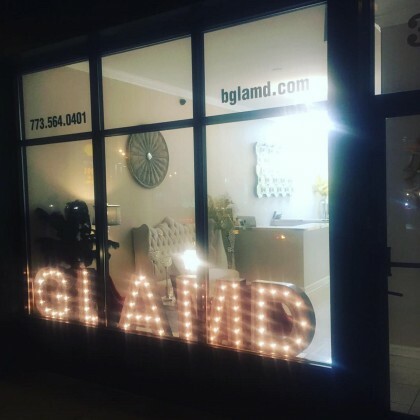 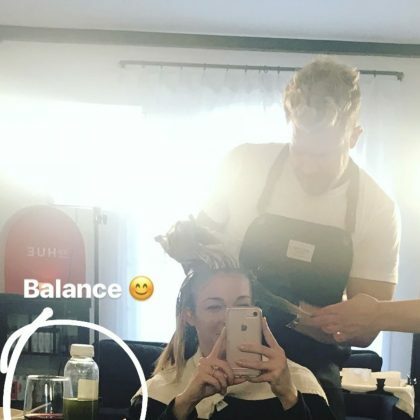 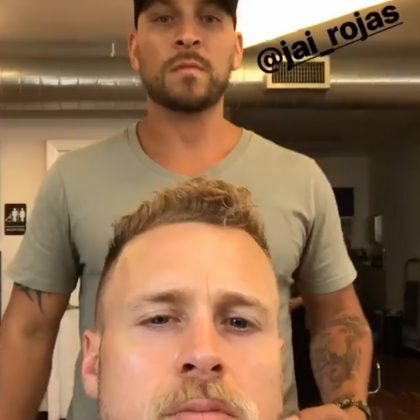 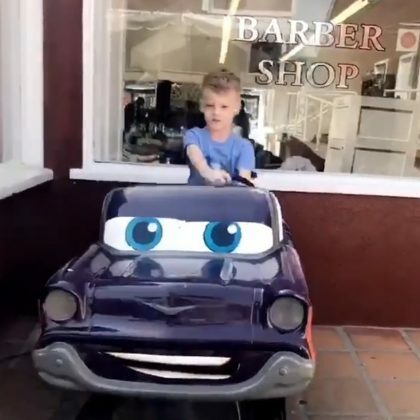 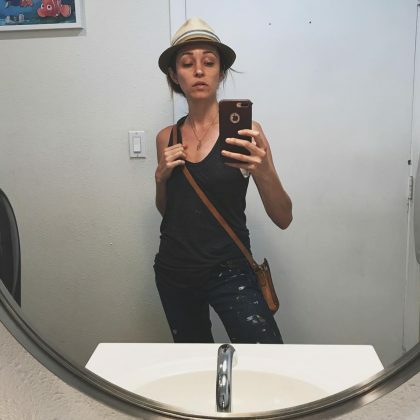 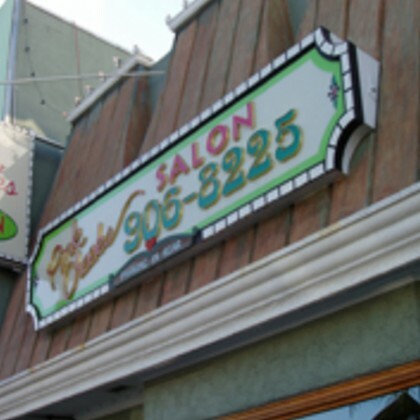 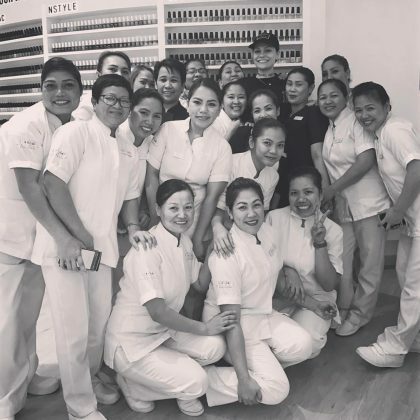 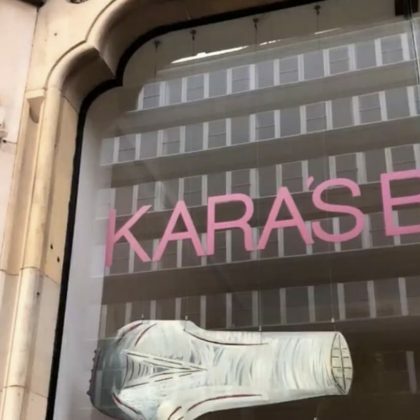 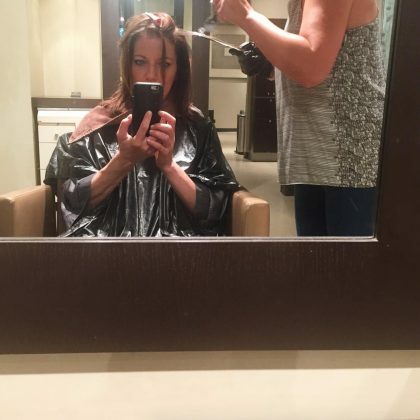 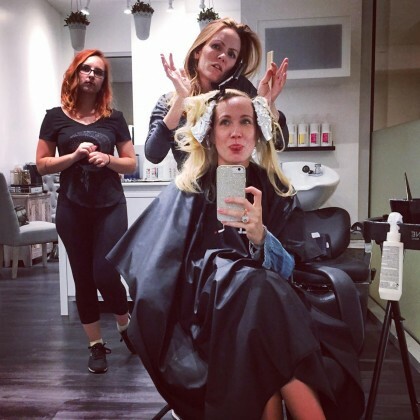 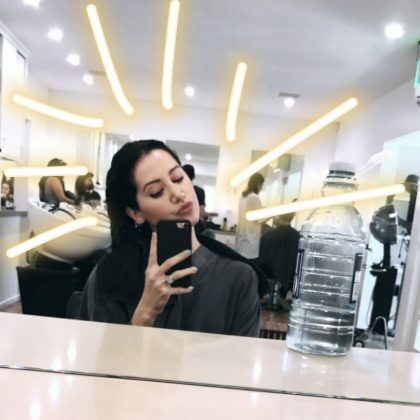 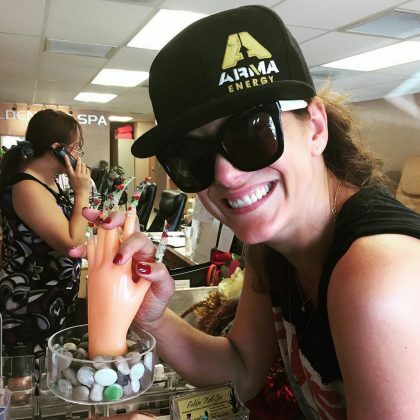 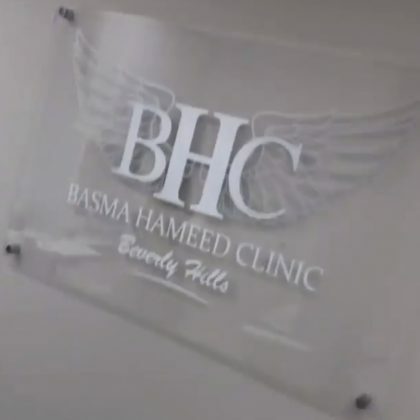 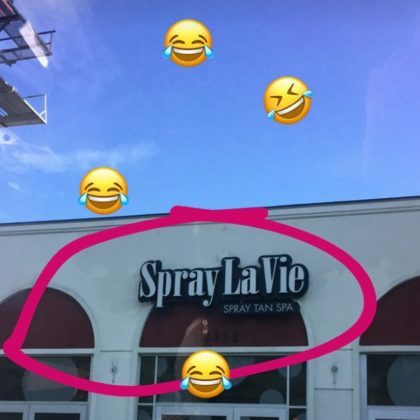 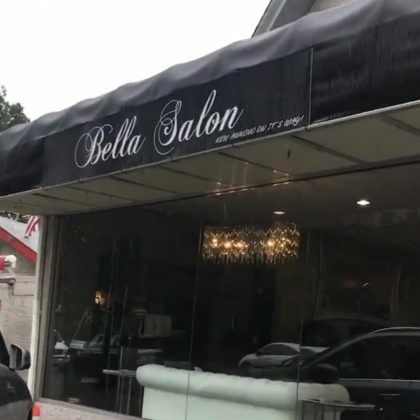 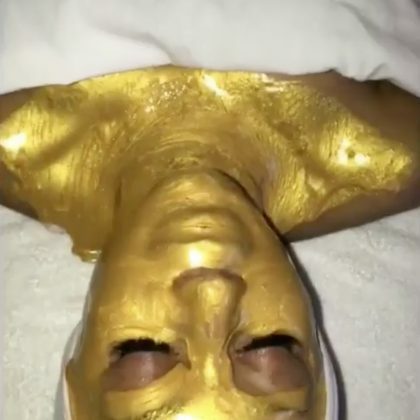 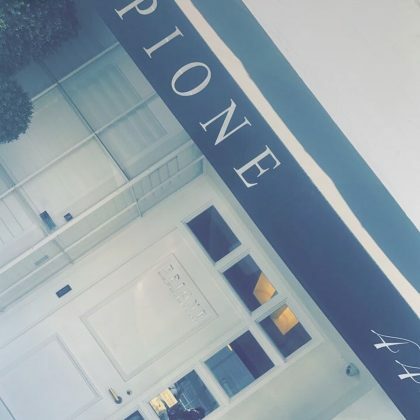 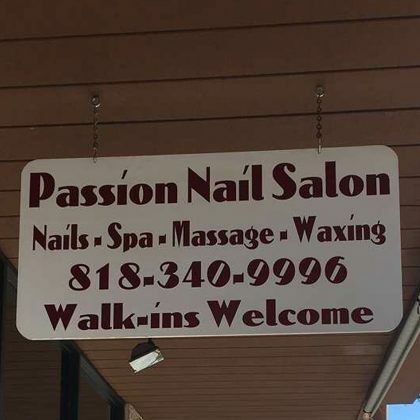 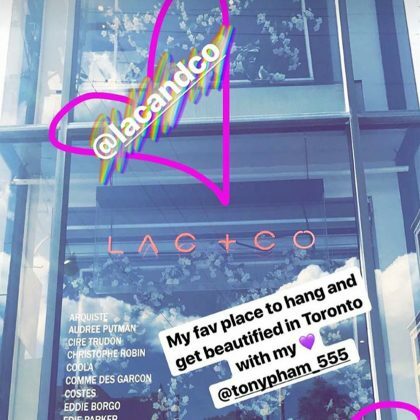 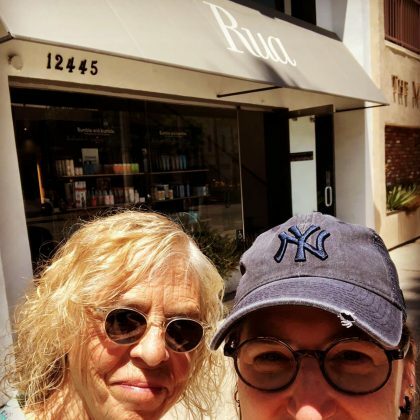 “Have to Botox up” is what Kendra Wilkinson-Baskett said when she stopped by this skin care salon in July 2017. 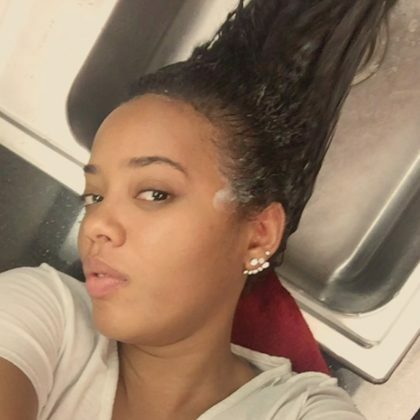 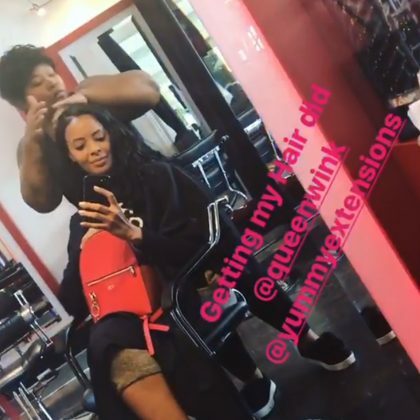 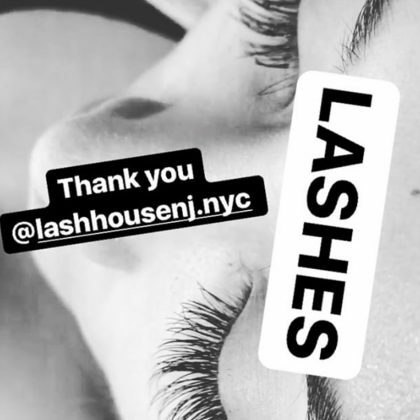 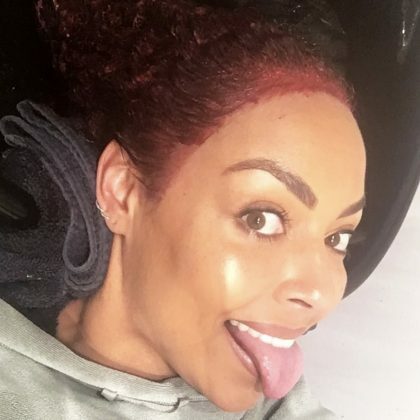 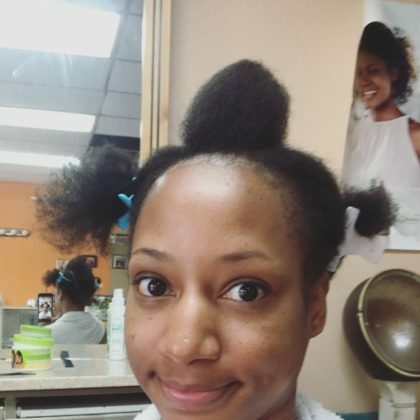 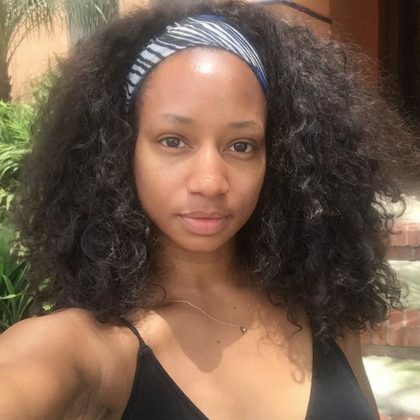 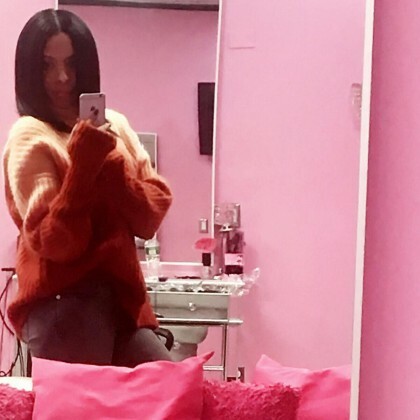 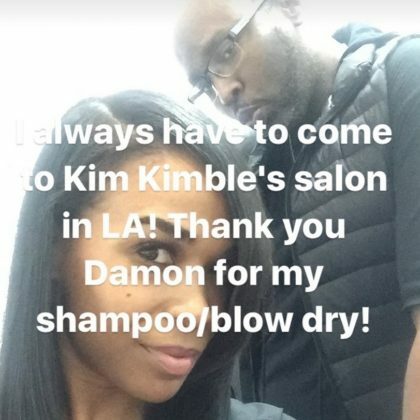 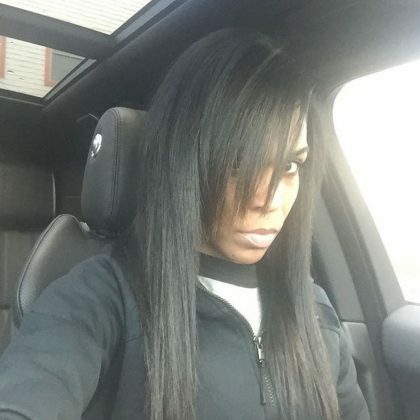 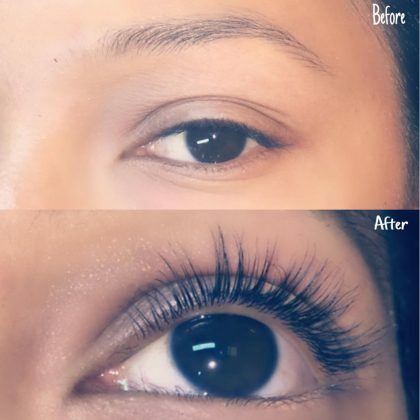 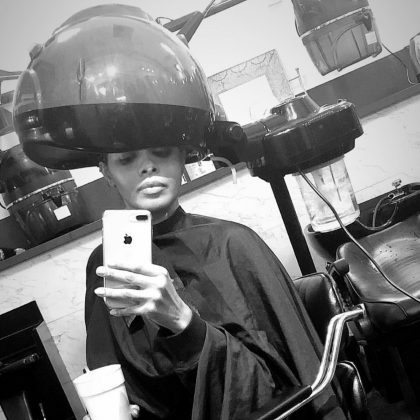 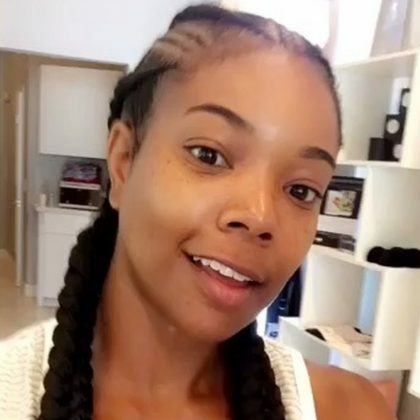 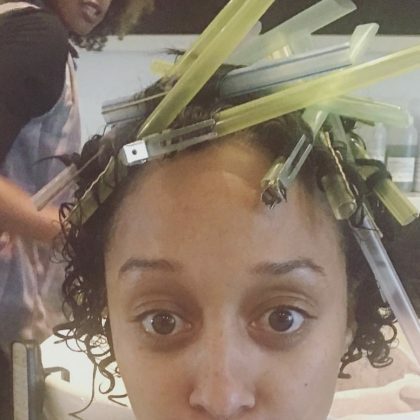 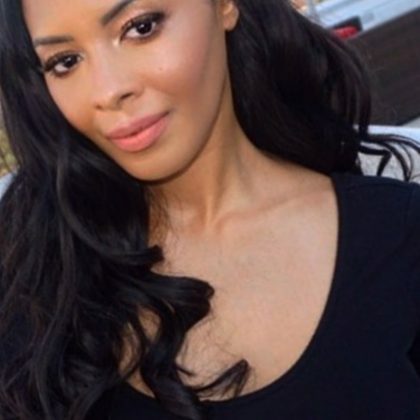 Vanessa Simmons thanked this salon said she was “Loving my new lashes” in July 2017. 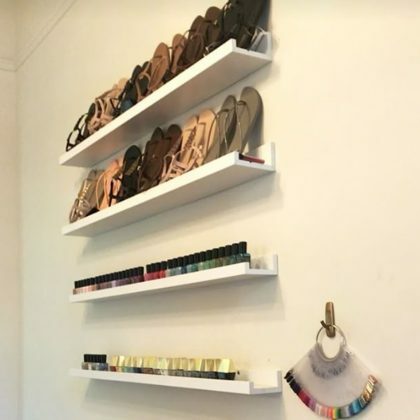 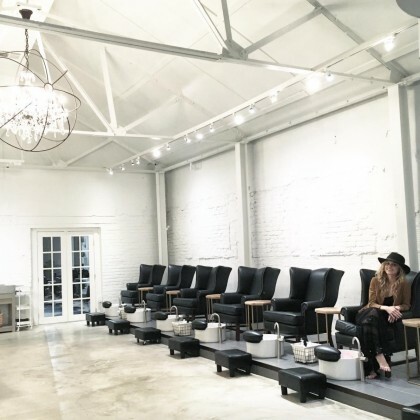 Sophia Bush popped into Poppy & Monroe and checked out the nail polish and sandal selection in June 2017. 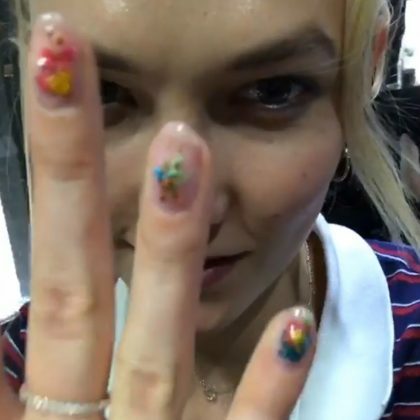 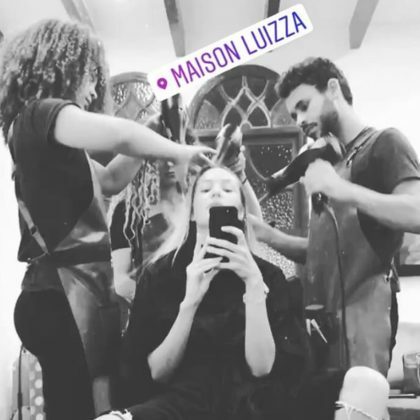 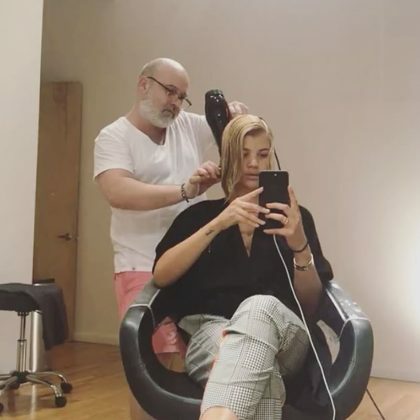 Karlie Kloss came to Unistella in June 2017 for a floral manicure. 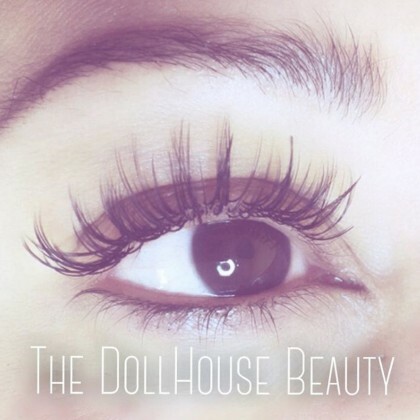 Nicole “Snooki” Polizzi was back for some “LASHES” in June 2017. 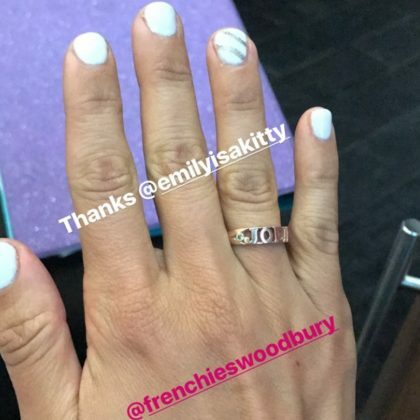 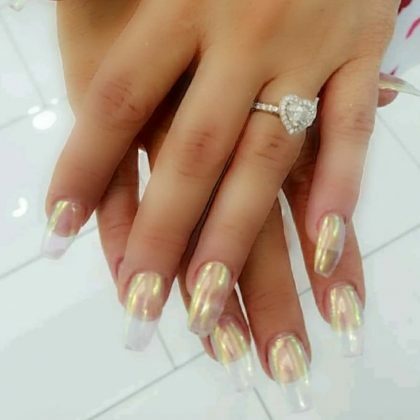 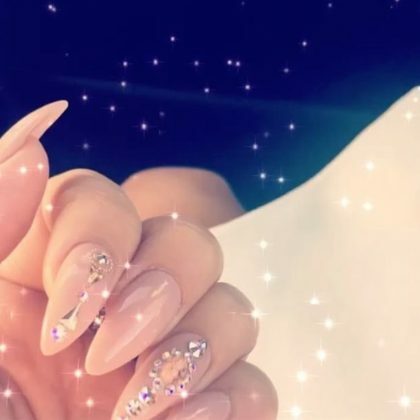 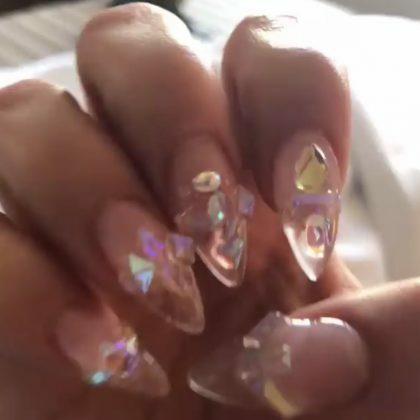 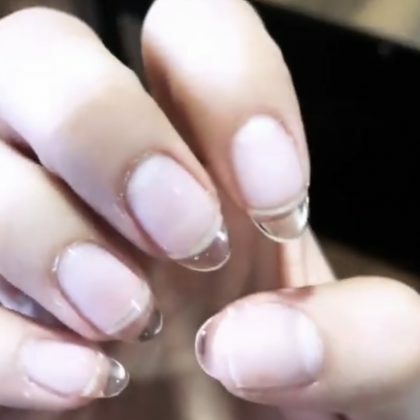 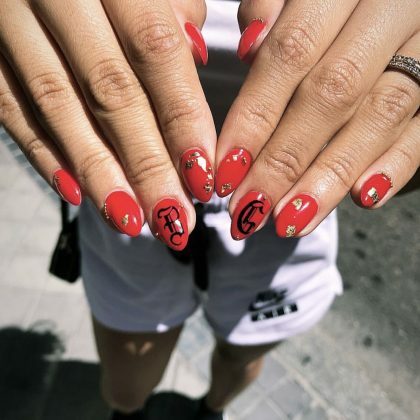 Becky G said Nail Garden, Manhattan Beach/El Segundo “is my fav” in May 2017 and added that she got “Itty bitty claws for my itty bitty paws” from nail technician Kim T.
“Sooooo tan” is how Stephanie Pratt described herself after going to Glo Spray Tanning & Beauty in May 2017. 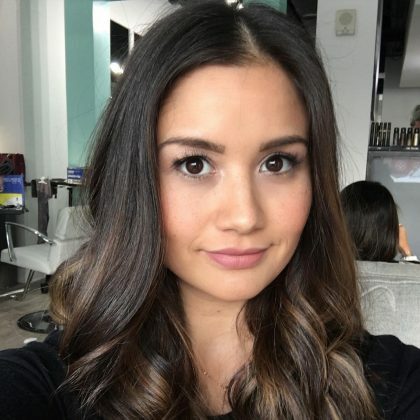 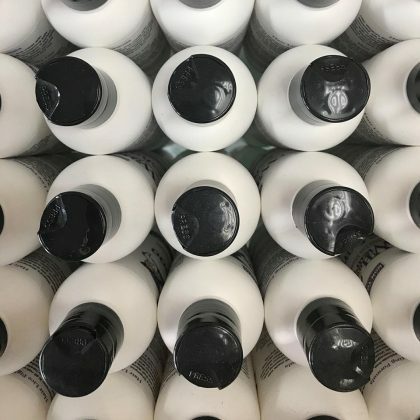 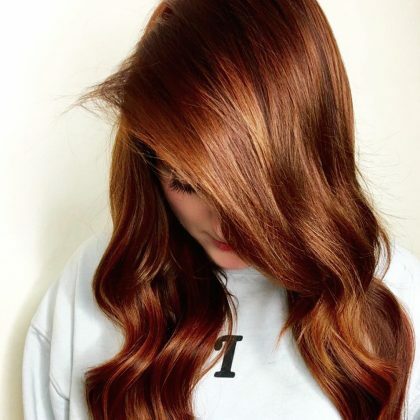 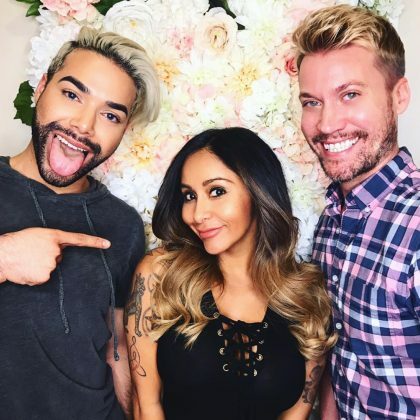 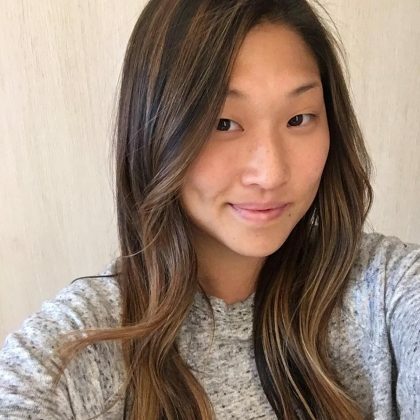 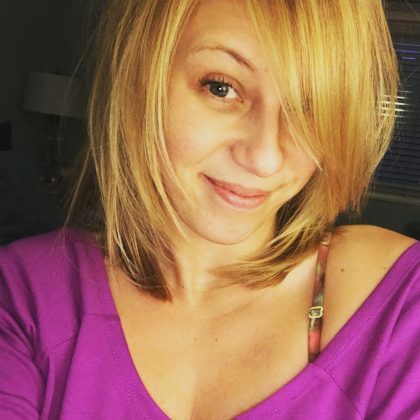 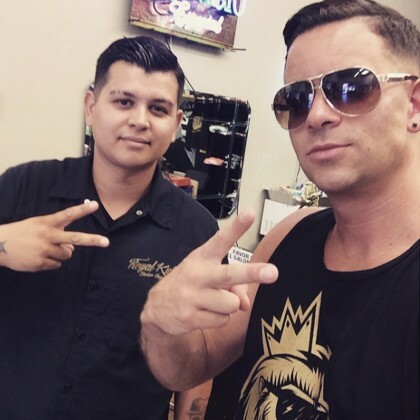 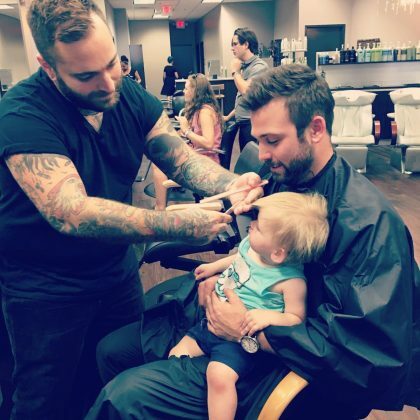 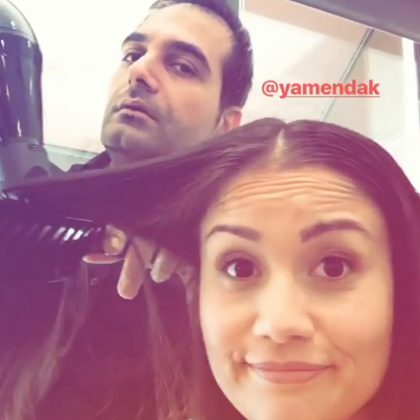 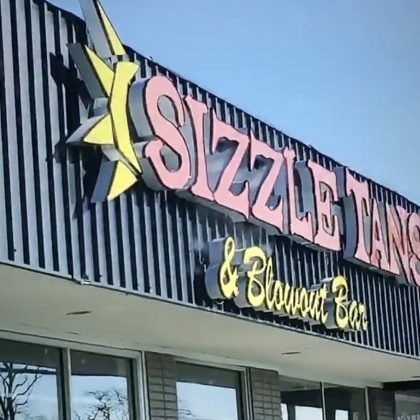 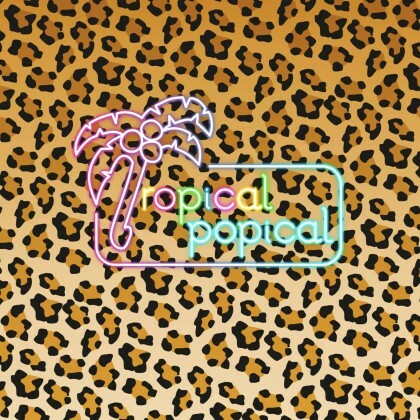 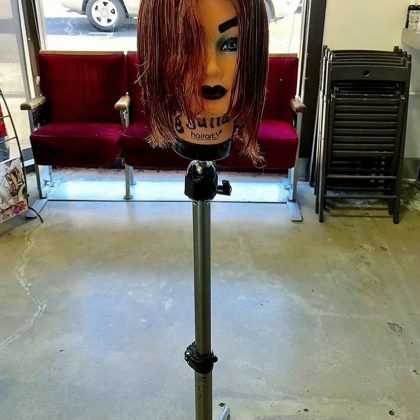 “Hair time – see you in 10 hours” is what Nicole “Snooki” Polizzi teased when she was in the chair here in May 2017. 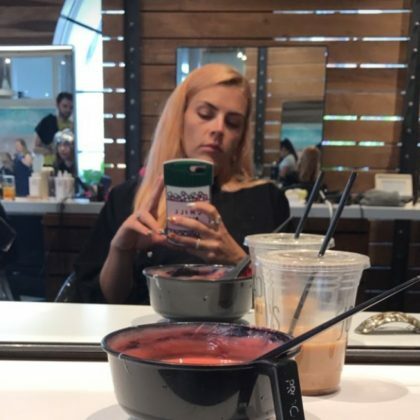 After trying out an “Elsa” and “Unicorn hair” look, she said, “Bye by fire ball” red and was “Loving my hurrr” when it was all done. 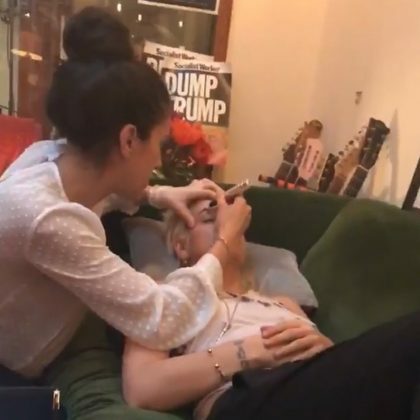 Lily Allen endured a bit of “Pain” to get some “Fleeky” brows at one of the Un Jour Un Regard locations in May 2017. 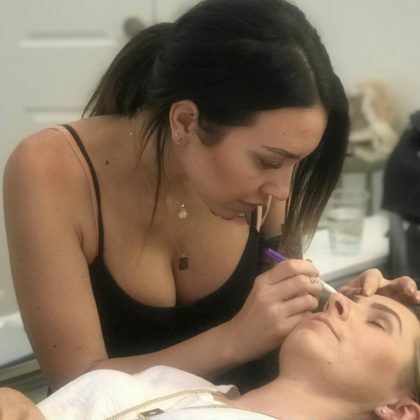 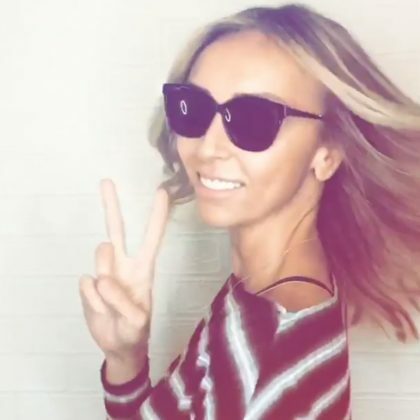 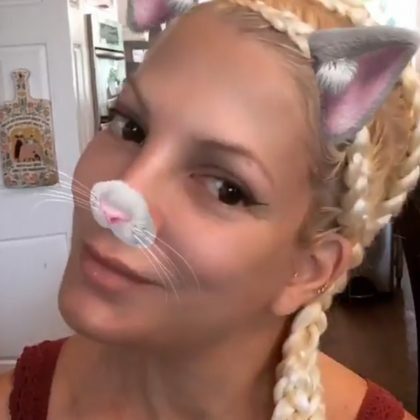 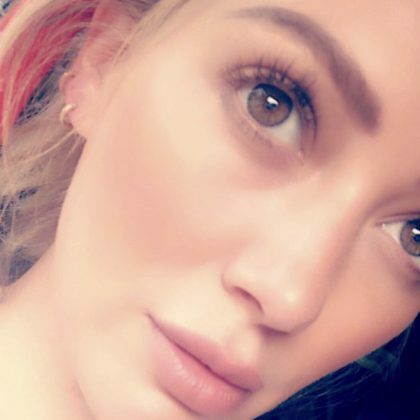 Aubrey O’Day showed off her “fresh new micro bladed brows by the one and only @eyebrowdoctor” in April 2017 and thanked the “wonderful, beautiful, and talented” Piret Aava. 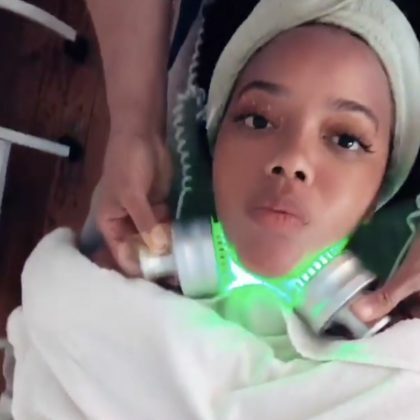 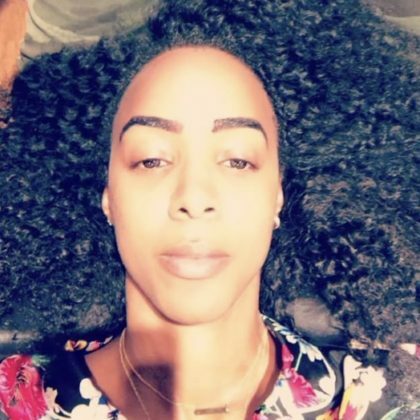 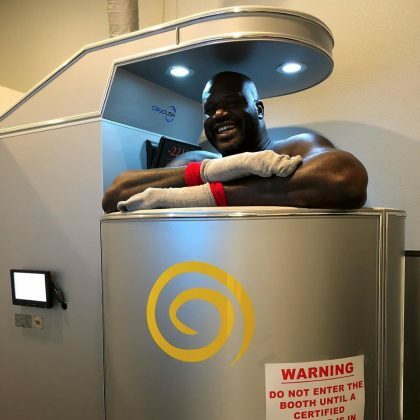 Angela Simmons said it was “Body sculpting time” when she came to a couple appointments at Embody Esthetics in April 2017. 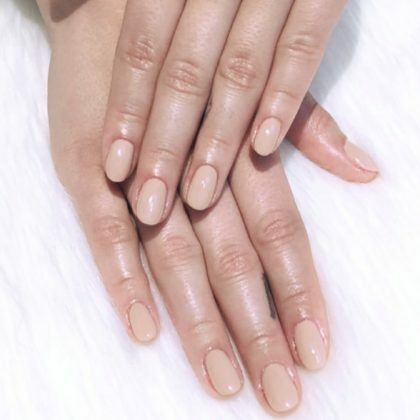 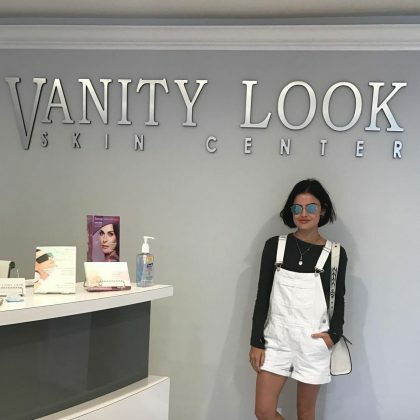 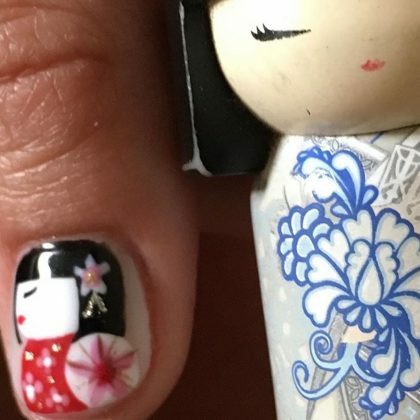 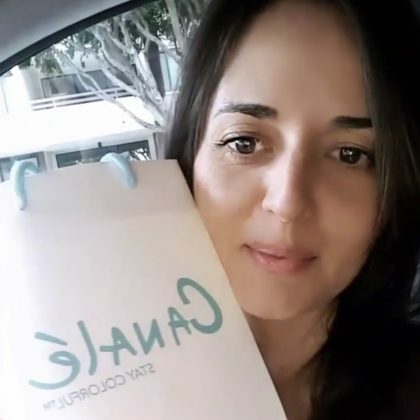 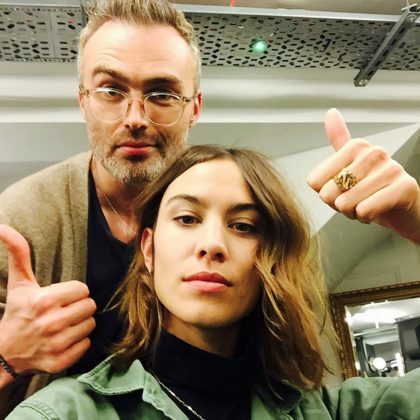 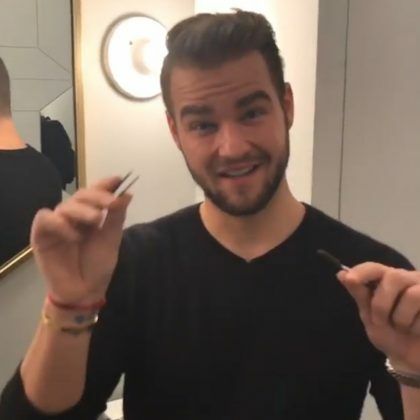 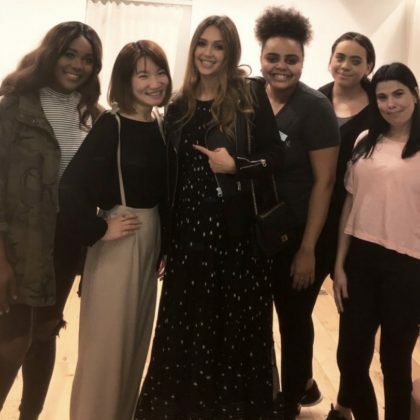 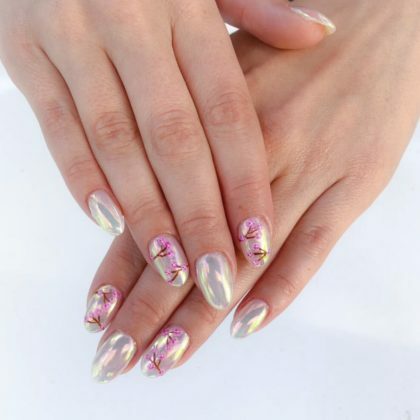 In April 2017, Camilla Belle showed “@leafa_nails working her magic” multiple times, including one appointment for a Japanese-inspired manicure. 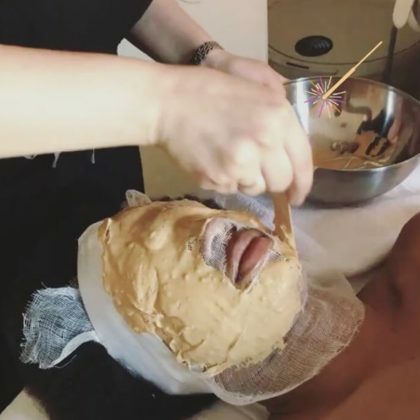 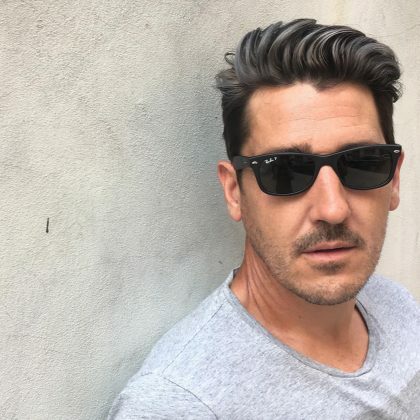 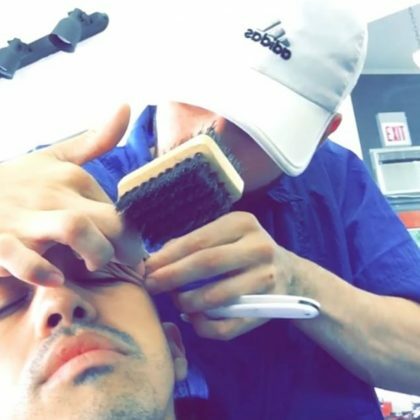 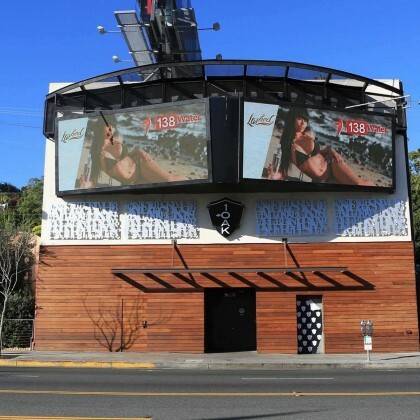 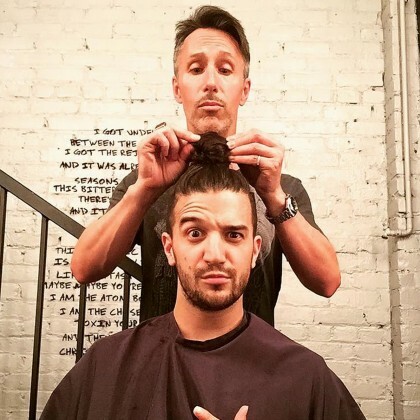 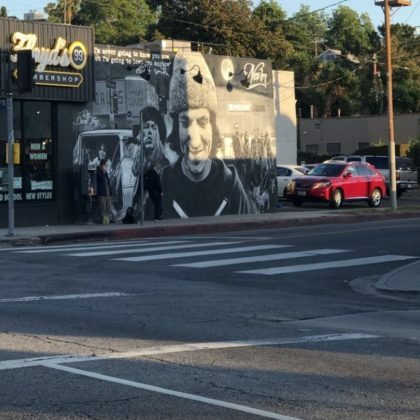 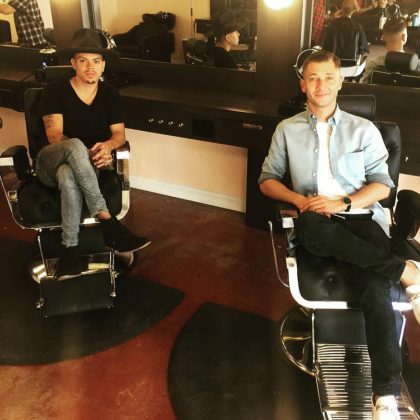 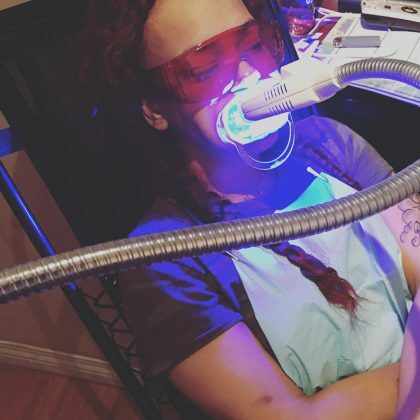 Mark Ballas﻿ happily had a face treatment done at Beauty Bar Medical Clinic, Sunset Boulevard in April 2017. 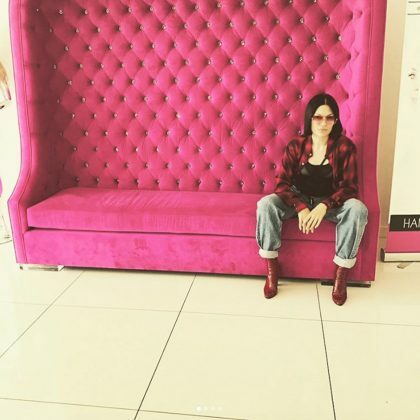 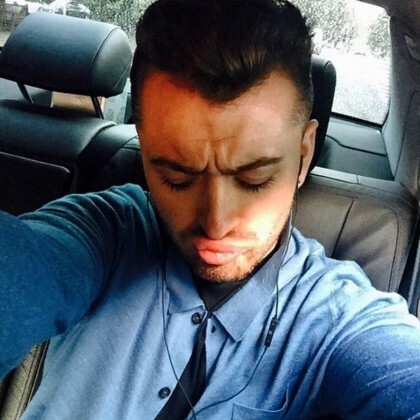 “My time!! 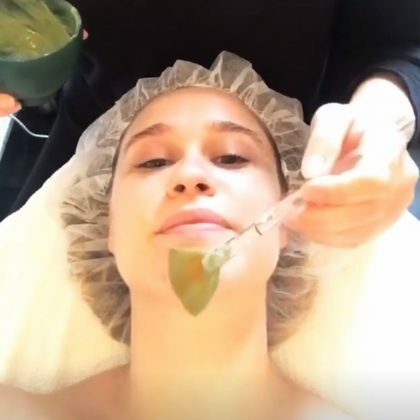 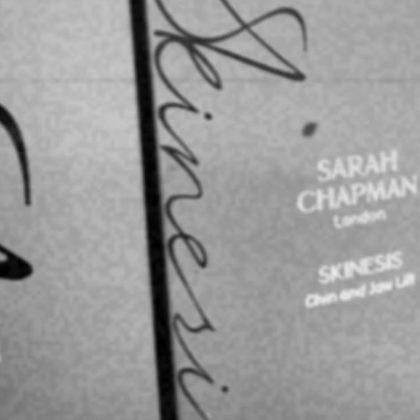 !” is how Elsa Pataky described her stop at Skin Divinity Cosmetic Clinic in March 2017. 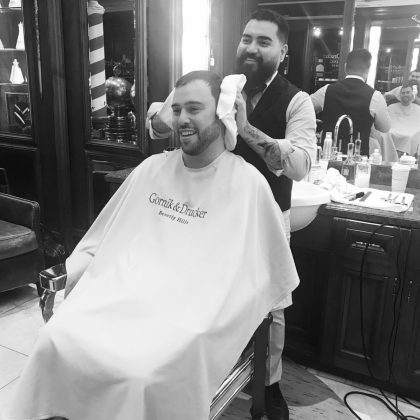 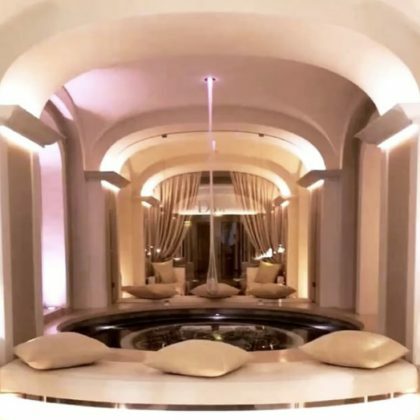 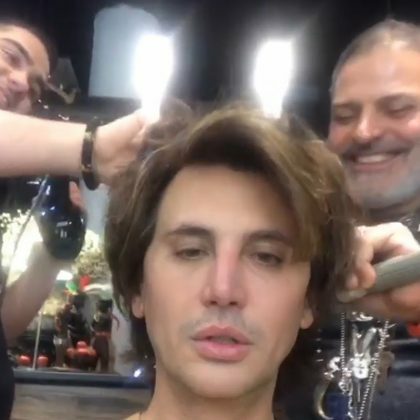 Salon regular Jonathan Cheban returned for a facial in March 2017. 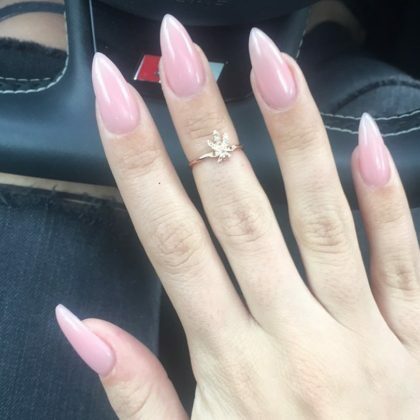 Ten pink fingers and 10 pink toes is what Ariel Winter got done here in March 2017. 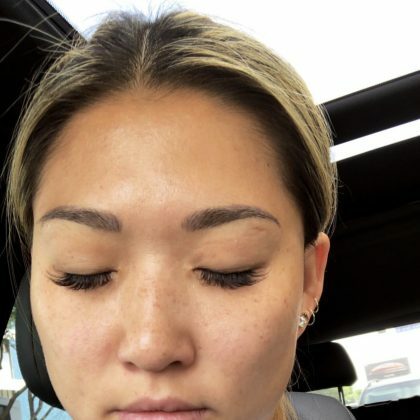 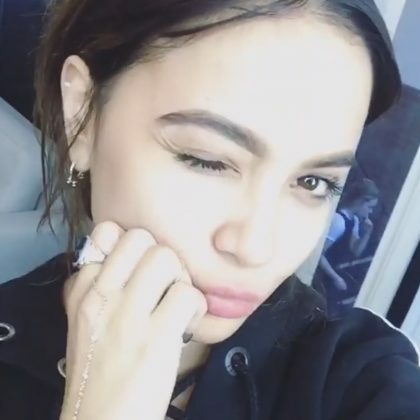 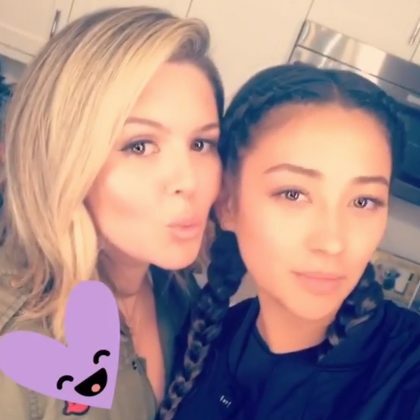 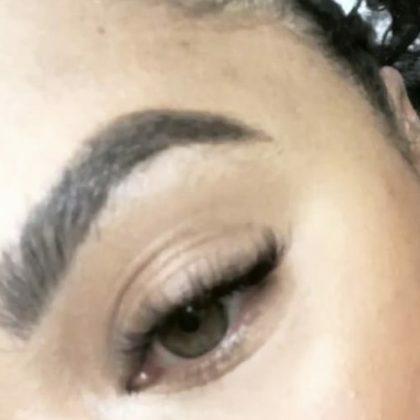 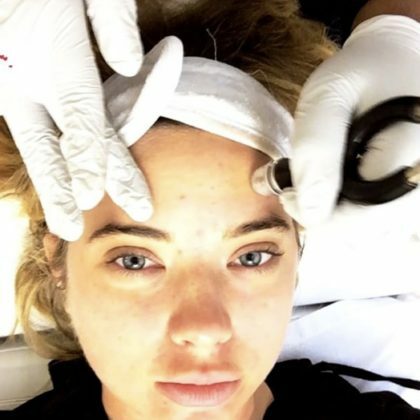 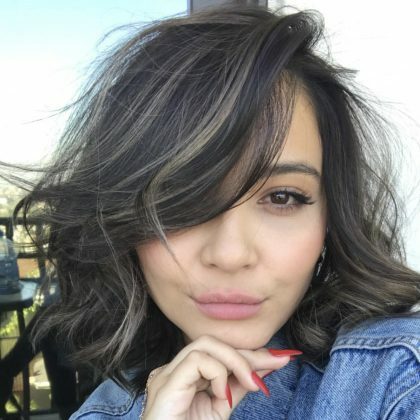 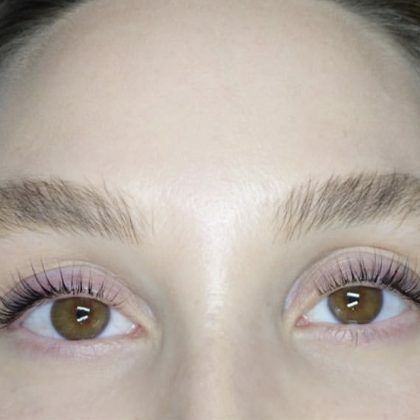 Regular Erin Bryant client Stella Hudgens gave a wink to the brow work she had done here in March 2017. 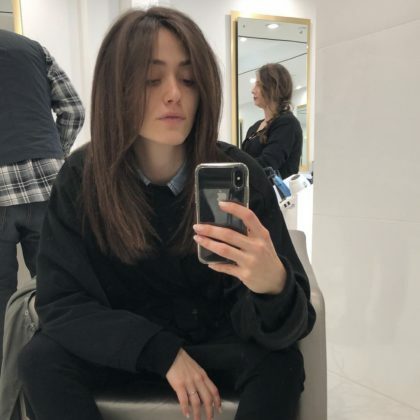 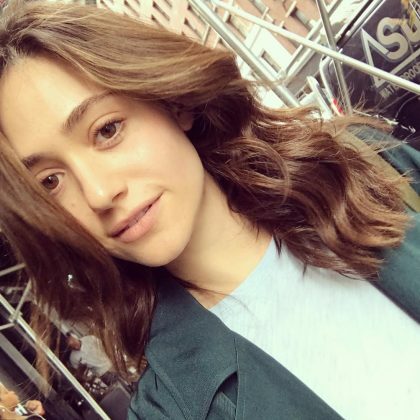 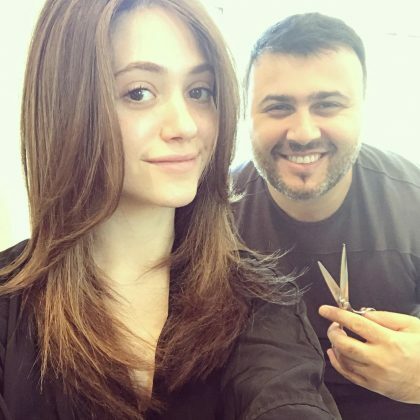 Emmy Rossum﻿ went for a “N.Y. 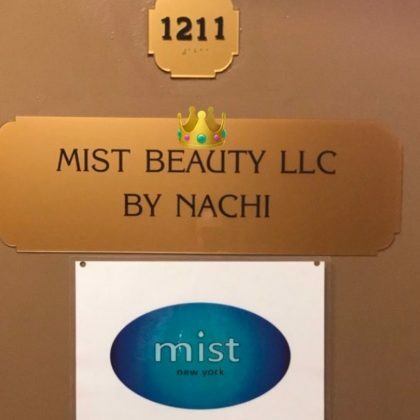 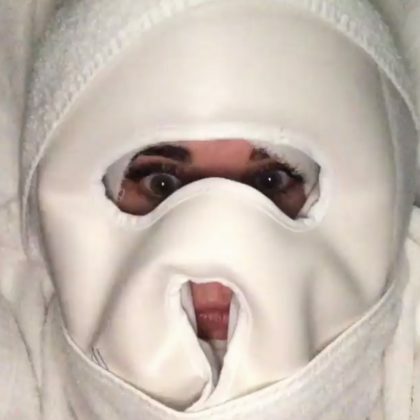 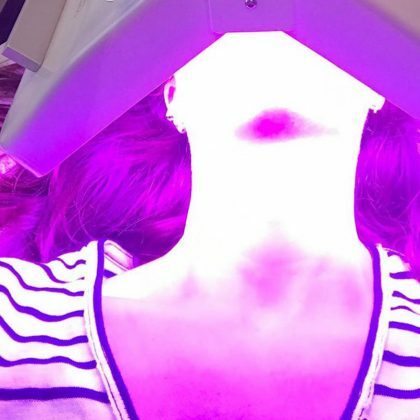 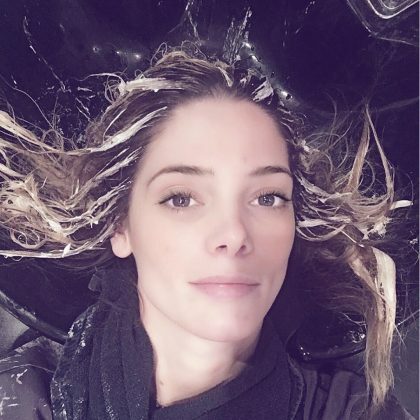 facial” at Mist Beauty in February 2017. 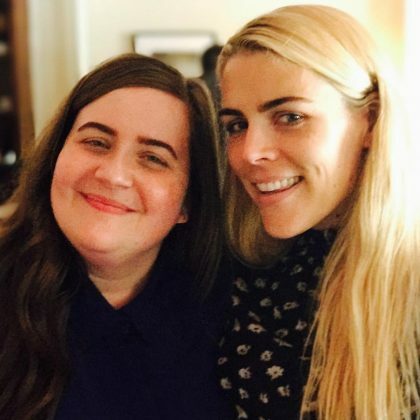 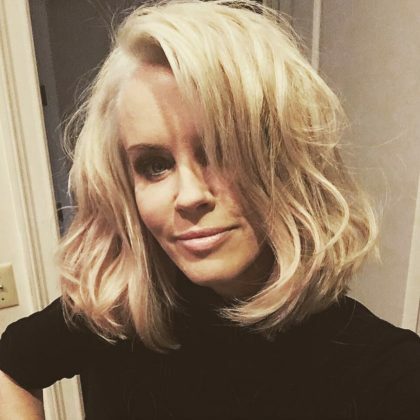 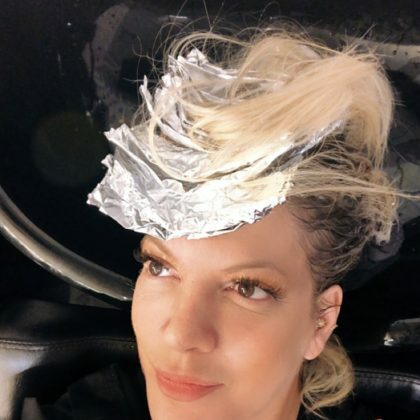 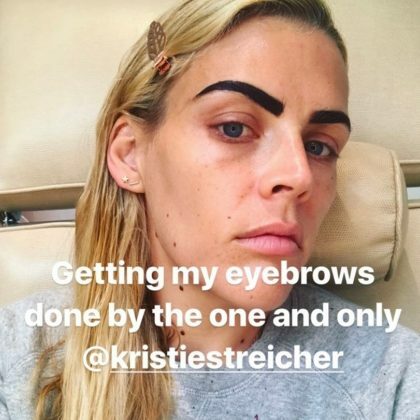 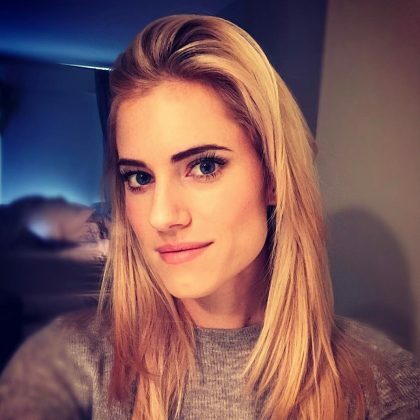 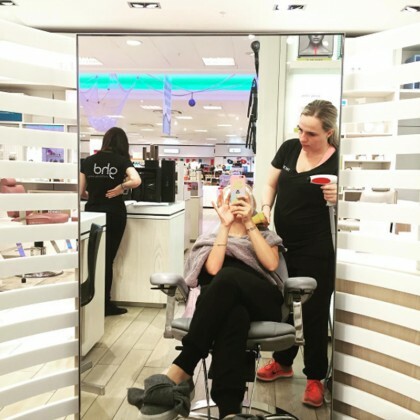 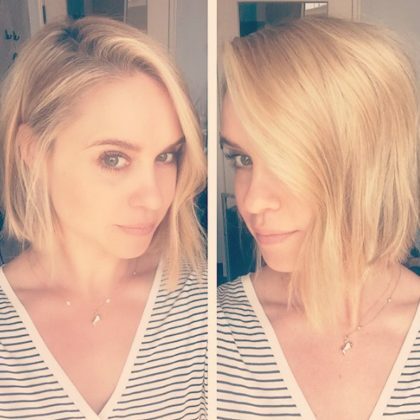 “Getting my eyebrows done by the one and only @krististreicher” is what return client Busy Philipps said about her February 2017 appointment. 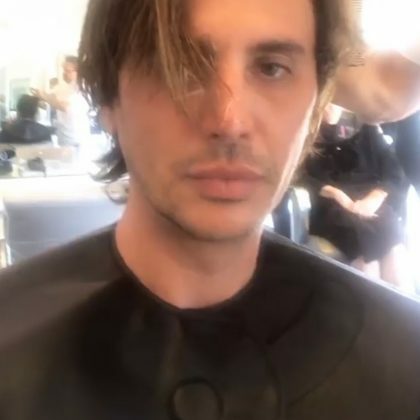 Jonathan Cheban was back for some treatments here in February 2017. 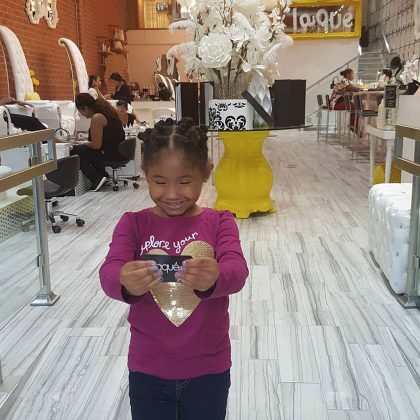 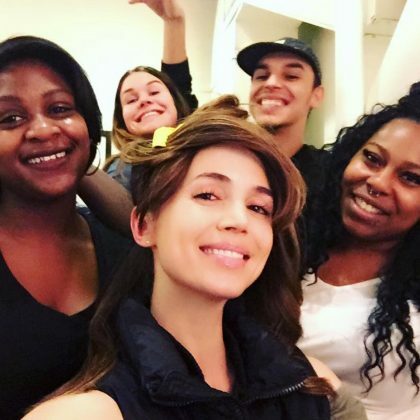 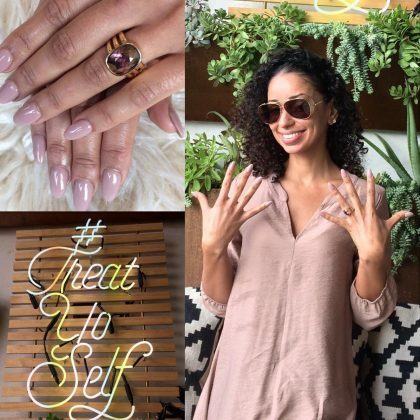 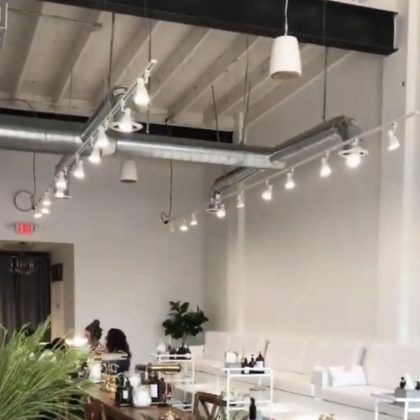 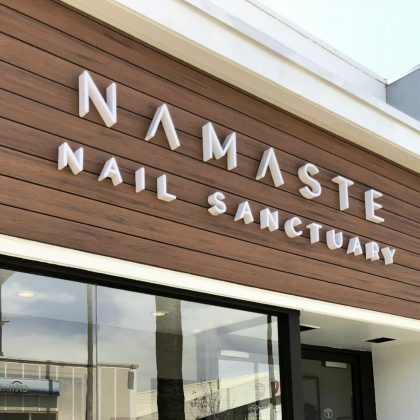 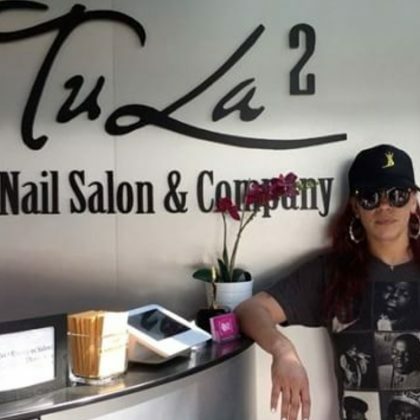 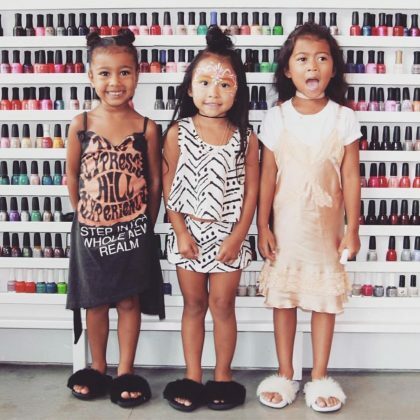 “Look what I found… an all natural #vegan #crueltyfree #nail bar” is what Mya said when she got a manicure at Base Coat, DTLA in February 2017. 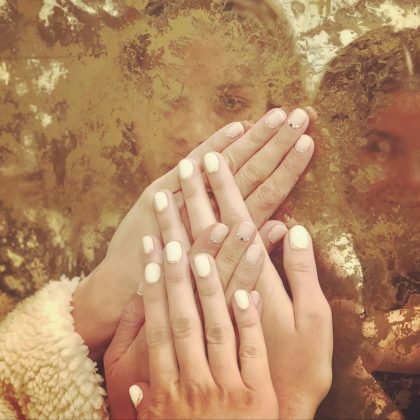 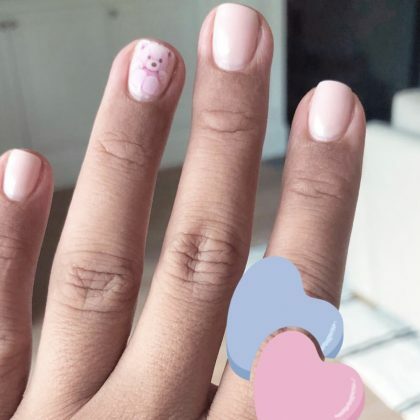 ﻿Busy Philipps﻿ shared that she “got my middle fingernails painted for Valentine’s Day” by House of Polish’s Fariha Ali in February 2017. 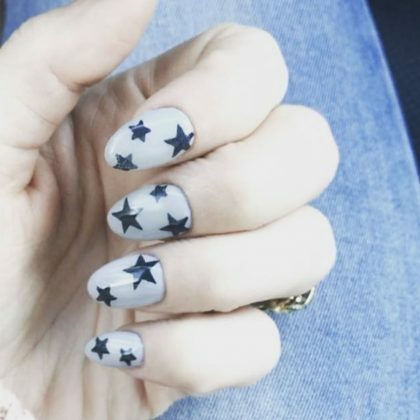 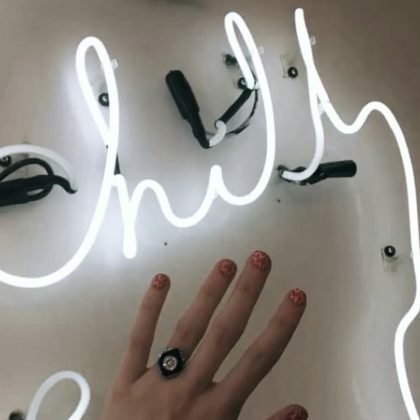 Lucy Hale﻿ said, “thanks @esnail_la” for the “‘City of Stars’ from LaLa Land themed nails” she got in January 2017. 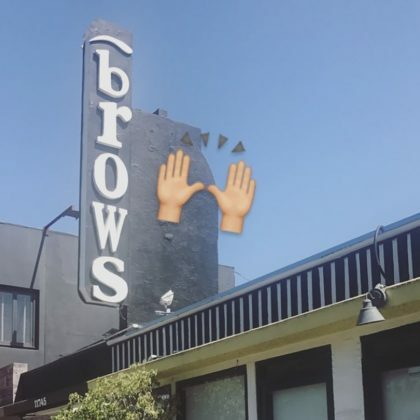 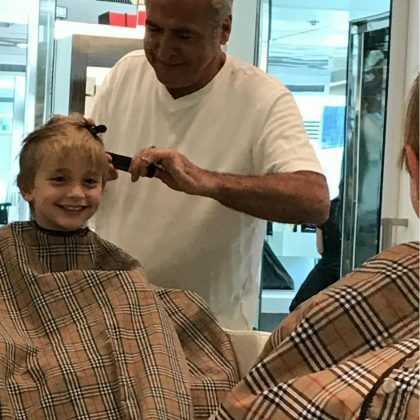 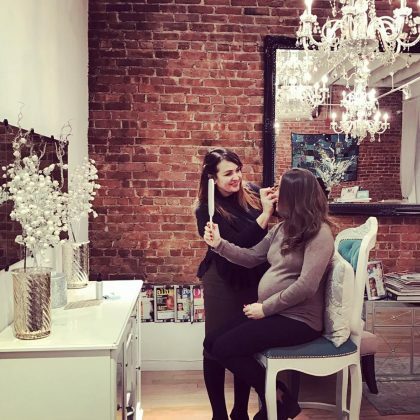 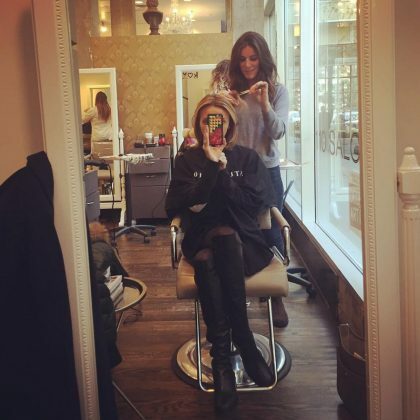 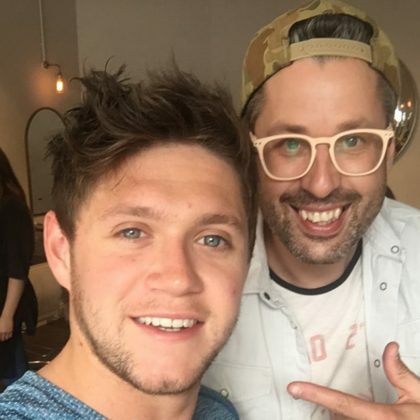 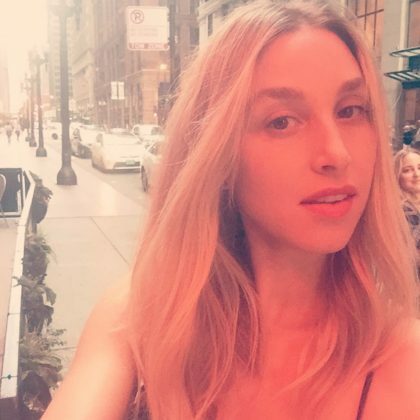 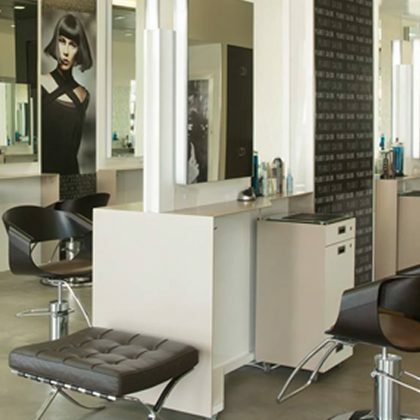 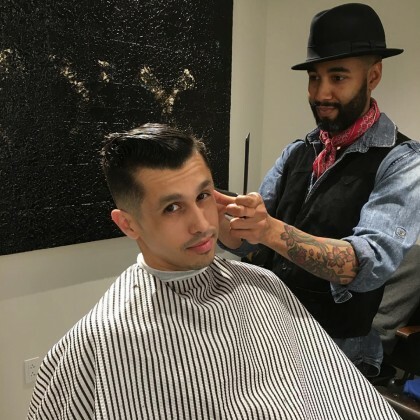 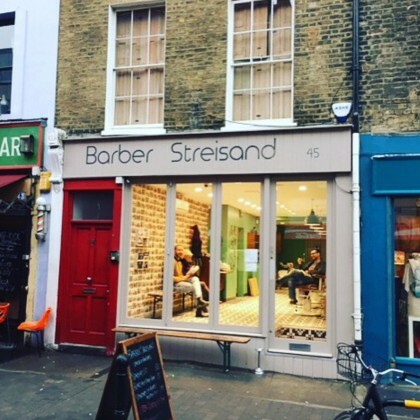 In December 2016, Jonathan Cheban was back at this brow studio. 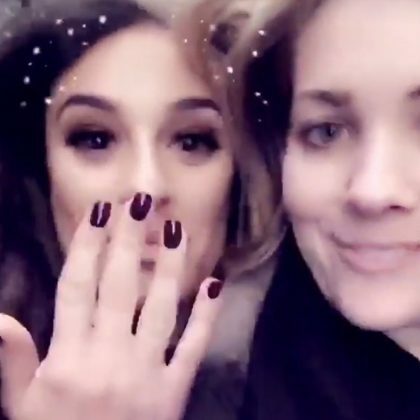 Lea Michele﻿ had her nails done with a friend at Paintbox in December 2016. 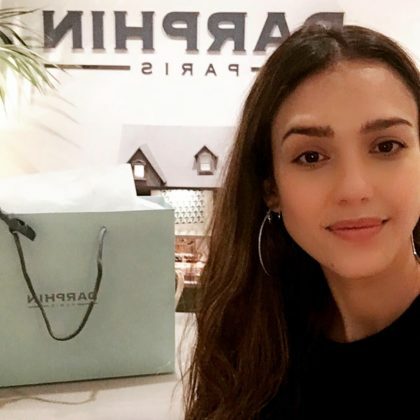 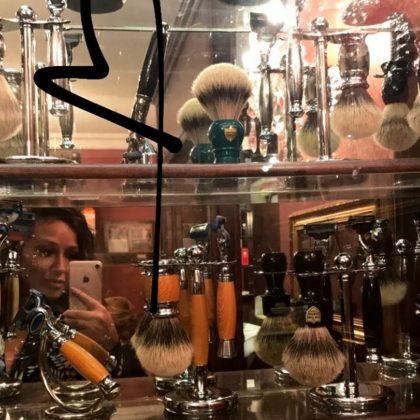 Jessica Alba “Enjoyed a little r&r @darphin in Paris” during fashion week in October 2016. 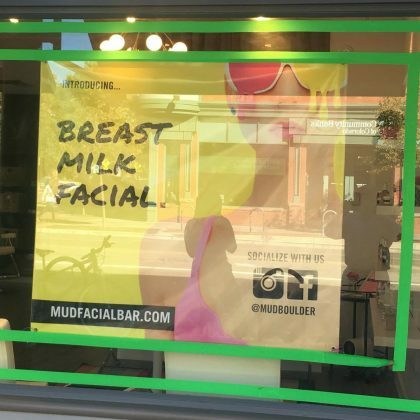 Al Roker let out a “#wow” after seeing a window ad for a “#breastmilk facial” at Mud Facial Bar, Boulder in September 2016. 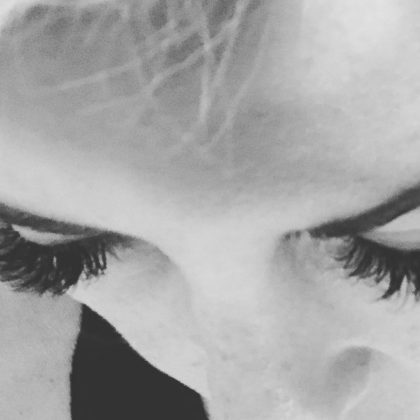 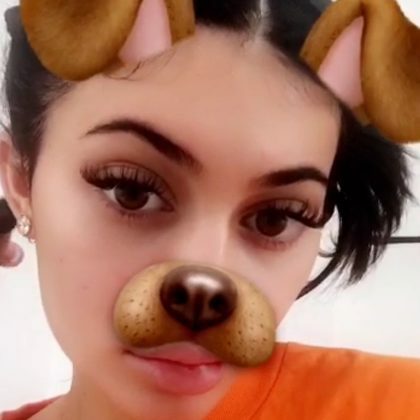 Kylie Jenner﻿ gave credit to Mav Lash Extensions for her full birthday lashes in August 2016. 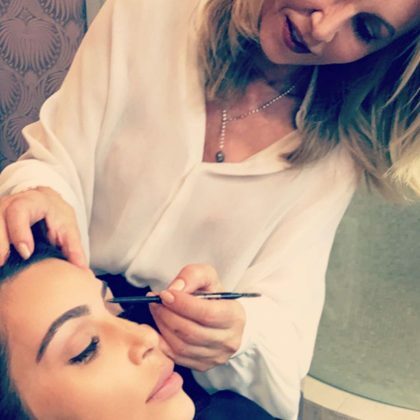 A “Late night brows sesh” with Anastasia Beverly Hills was in order for Kim Kardashian in July 2016. 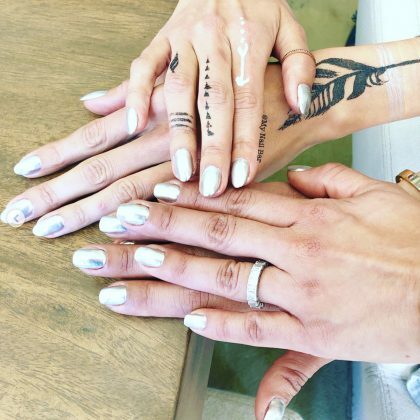 AnnaLynne McCord﻿ stopped by Blanc Beauty Bar in May 2016 for a gorgeous manicure. 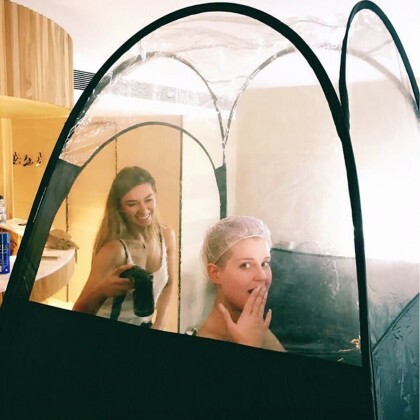 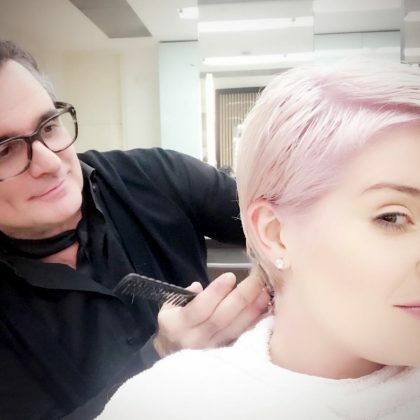 Kelly Osbourne﻿ was “Being turned into a bronzed goddess” in March 2016 “by the best of the best in Sydney,” GlowByBeca Tanning Studio. 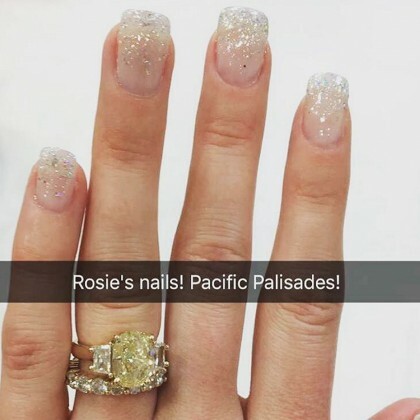 Heidi Pratt showed off her sparkly nails after a February 2016 visit to Rosie Nails. 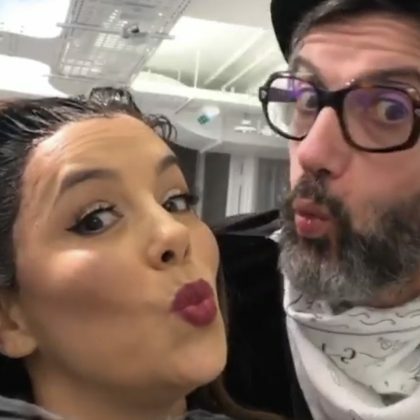 Rachel Zoe﻿ and ﻿Rodger Berman were “Puckering up in the snow” outside of Pucker in between February 2016 fashion week shows. 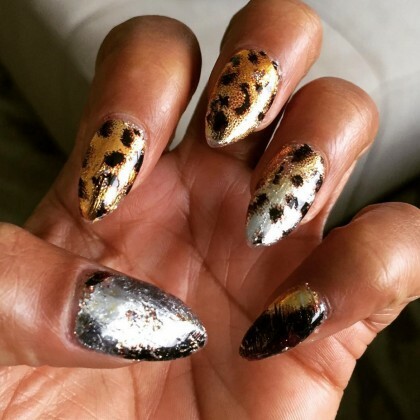 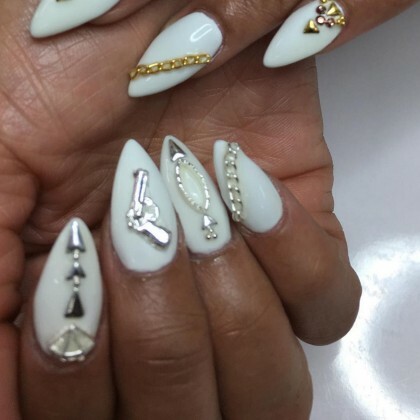 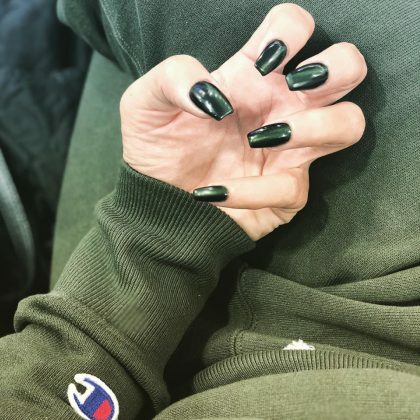 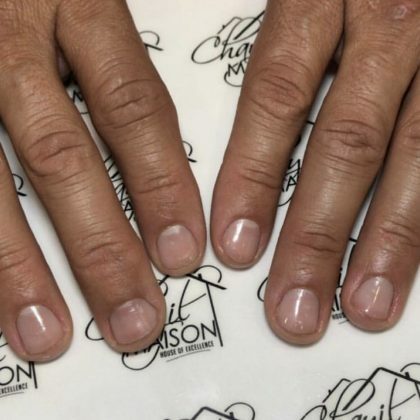 Mel B went with some “Miami nails” when she got a manicure from Summit Nail Bar artist Keon in February 2016. 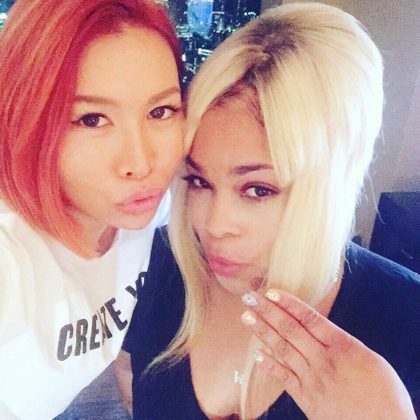 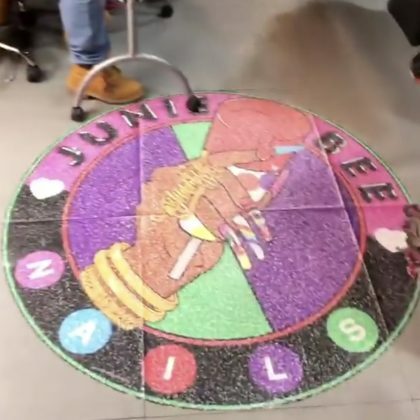 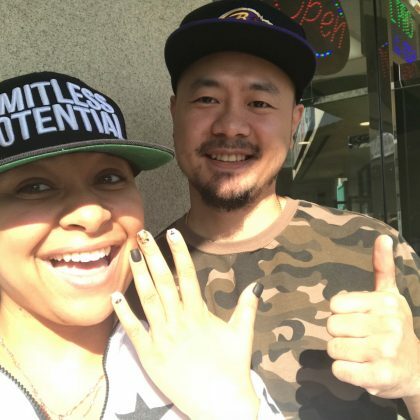 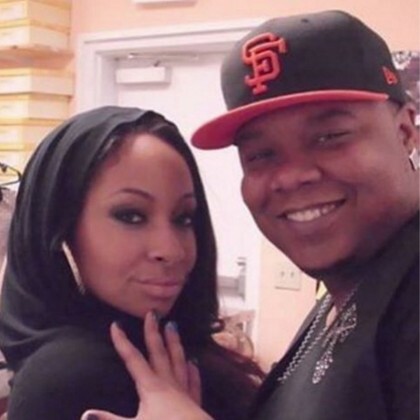 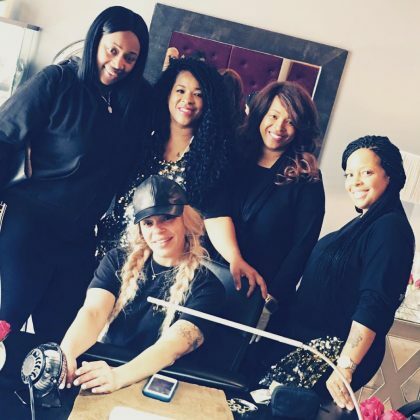 Raven-Symoné “visited the king of nails” — manicurist Terrance Terry — at Luxe Nail Bar in January 2016. 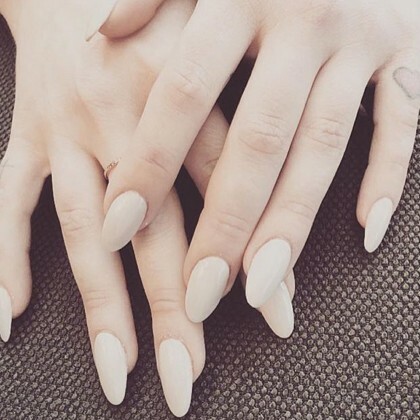 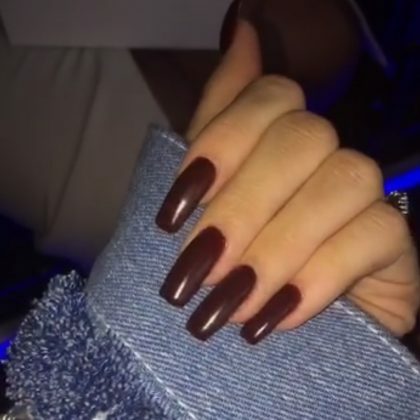 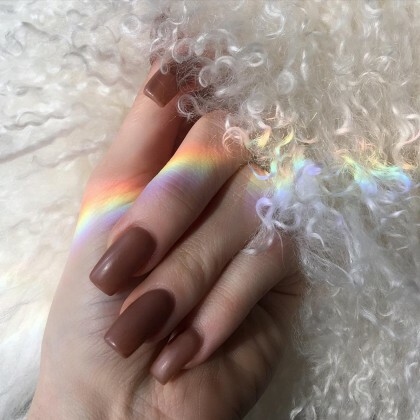 Kylie Jenner showed off a “Matte brown” manicure by Blossom Beauty Lounge nail artist Lina Doll in December 2015. 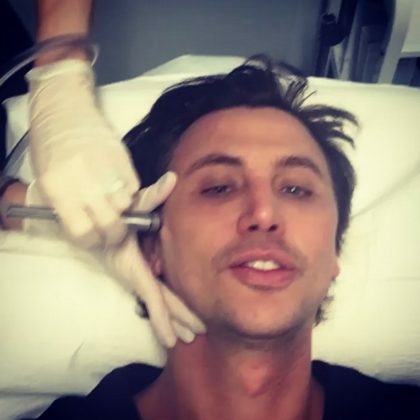 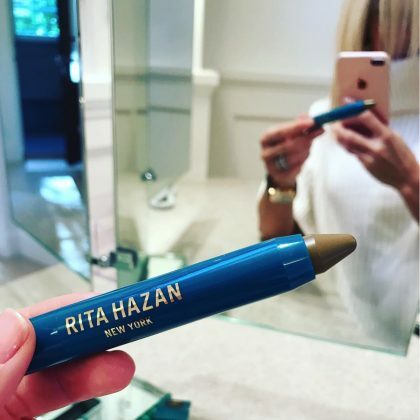 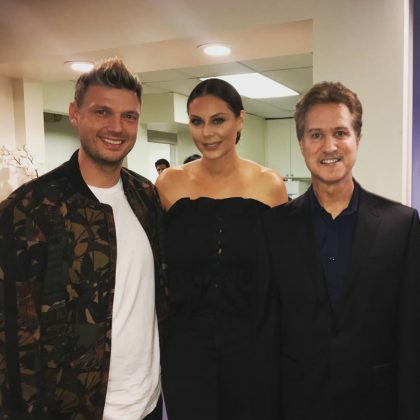 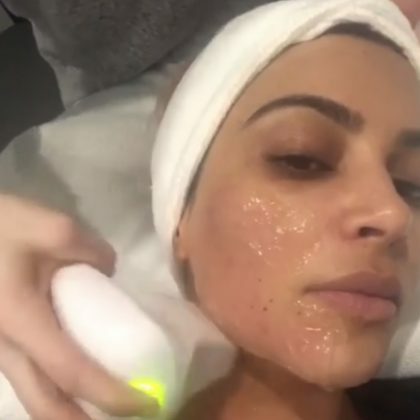 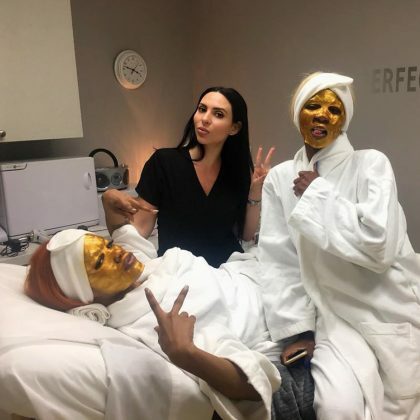 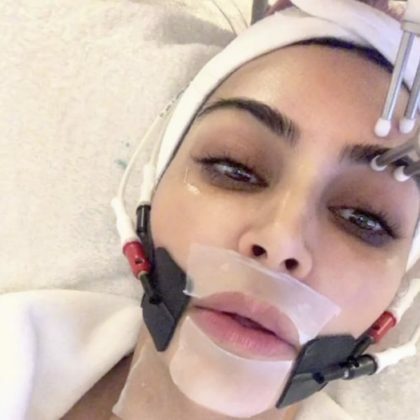 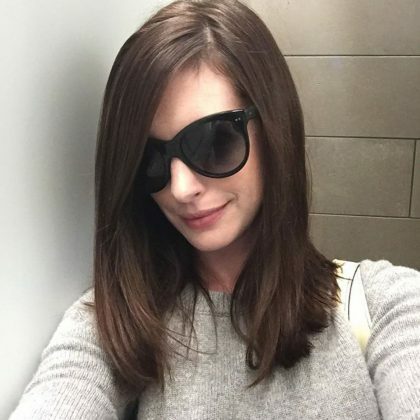 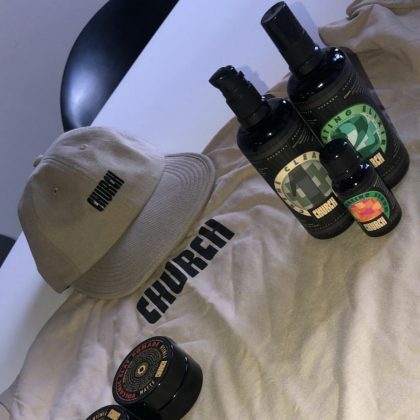 Jonathan Cheban said after “Too much travel” in December 2015, his “skin felt like a crocodile,” so he stopped by Skinfluence Medical, P.C. 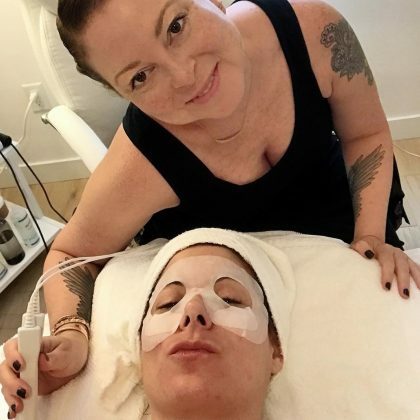 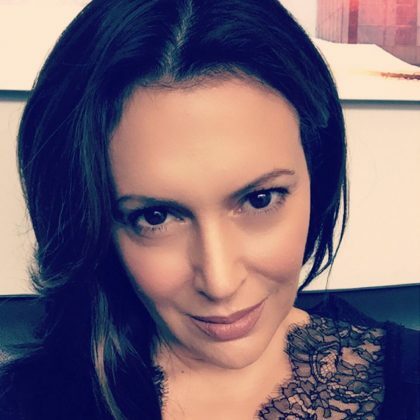 to get a facial from Dr. Marina Peredo. 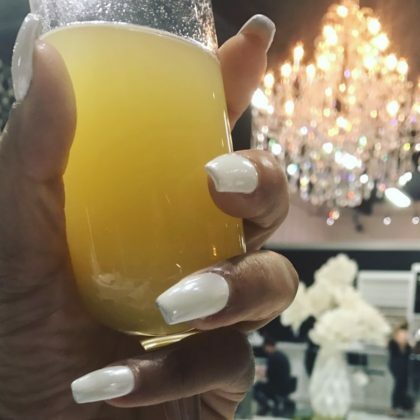 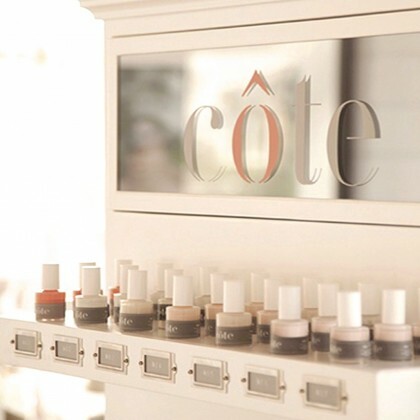 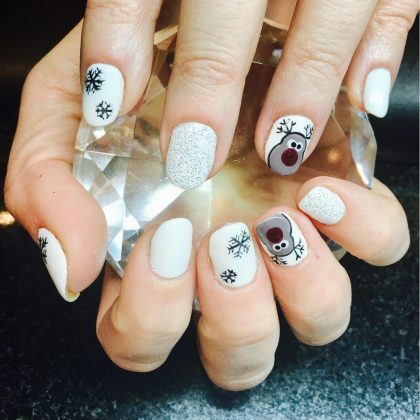 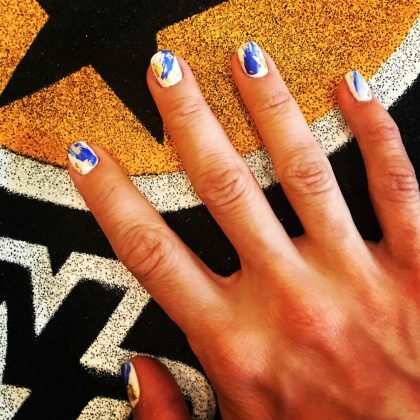 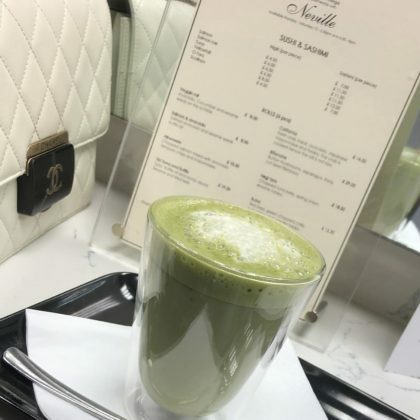 Molly Sims was “Getting into the #holiday spirit” at Côte Shop in December 2015, sipping on something sparkling and perusing the rainbow of polishes. 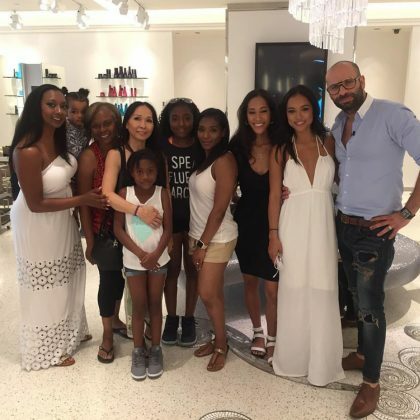 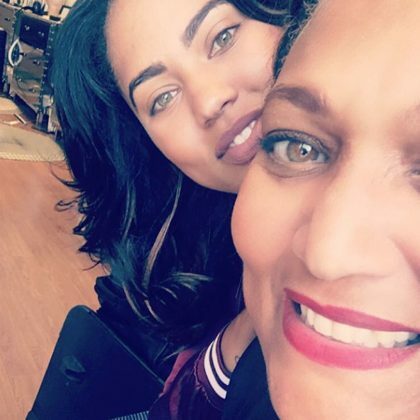 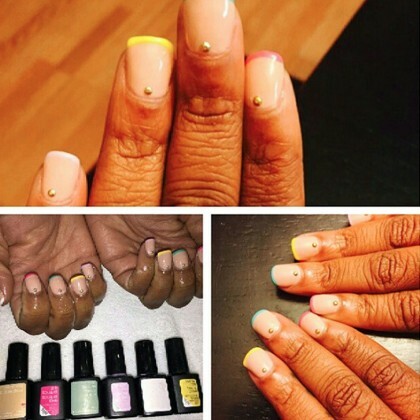 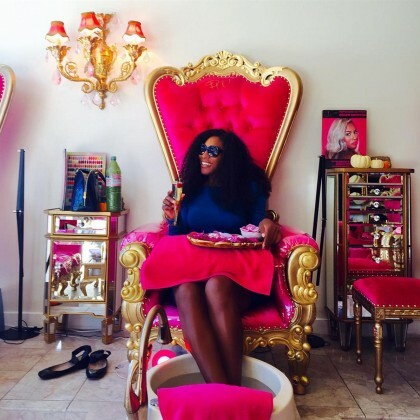 Serena Williams enjoyed a “girls day with my mom” at Painted Woman Nail Bar in November 2015, complete treats and champagne. 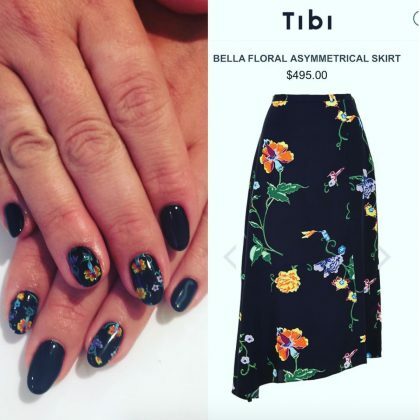 Lily Allen﻿ credited ﻿﻿IMARNI NAILS for her “#carnival” nails in August 2015. 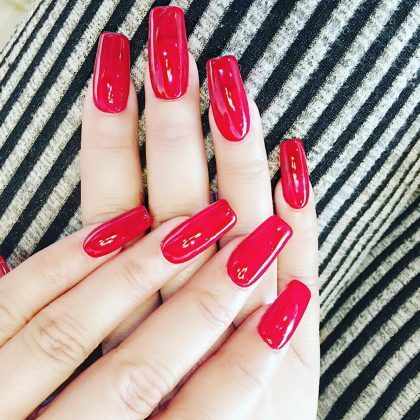 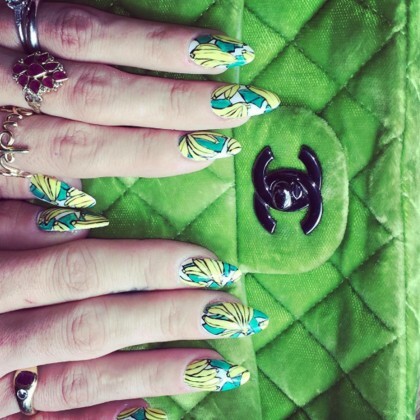 Lily Allen’s nails were “on a noughties Chloe banana tip” in July 2015. 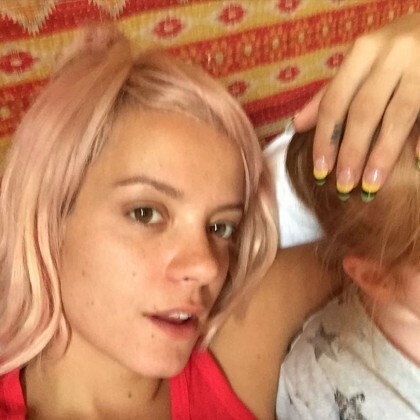 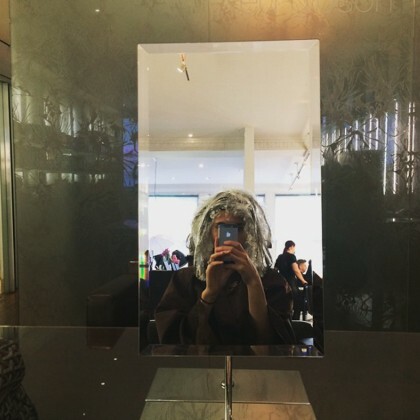 Lily Allen was “Putting in the hours” at Face Gym in July 2015.